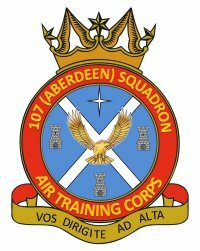 Welcome to 107 (Aberdeen) Squadron, Air Training Corps, based in central Aberdeen. 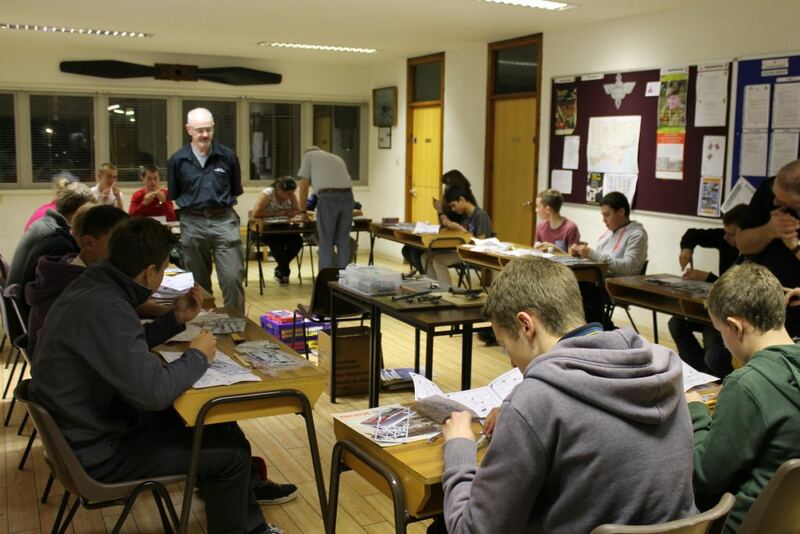 awards, camps and adventure training to name a few. 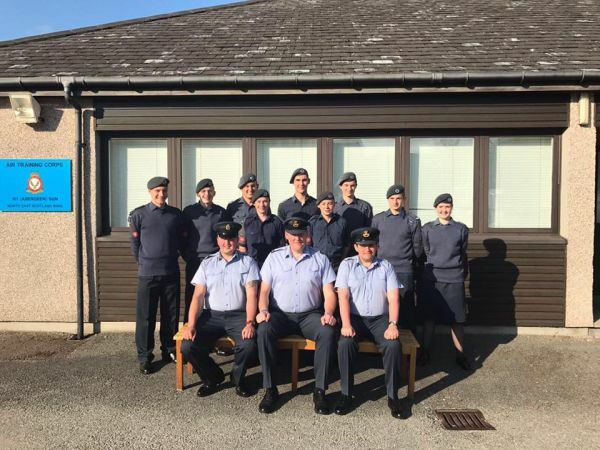 staff will start their ATC career as a Civilian Instructor, but there are opportunities for appointment to uniformed positions, as a Senior NCO (ATC) or as a Commissioned Officer in the Royal Air Force Air Cadets (RAFAC). If you are interested in the activities and challenges offered, please contact us to arrange a visit. 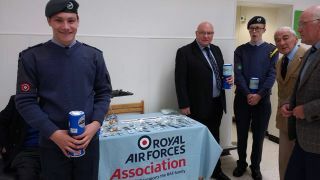 107 (Aberdeen) Squadron joined members of RAFA in the Wings Appeal collection today. 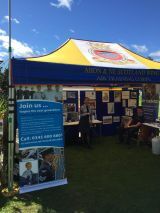 This is towards the benevolent fund which provides welfare support to RAF personnel and their families. 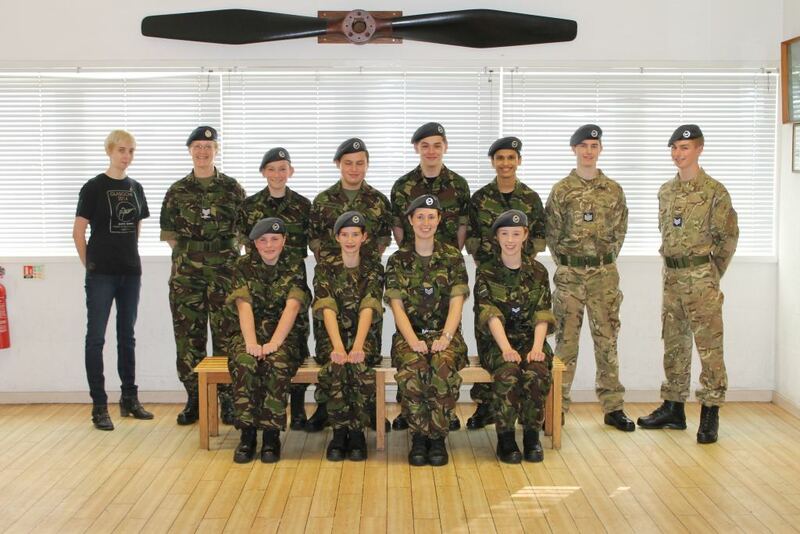 107 Sqn along with 865 Sqn ran a Cadet NCO training day on Saturday 2nd September. Congratulations to all who took part. 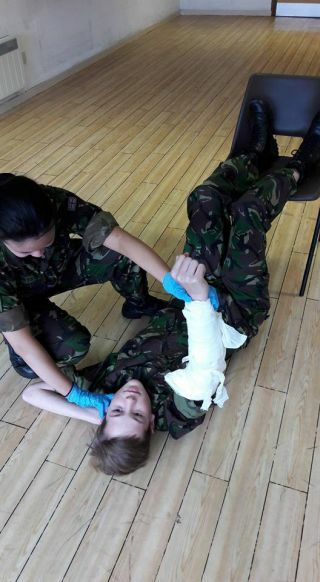 YFA bandaging practice yesterday at Prince Charles Cadet Centre. 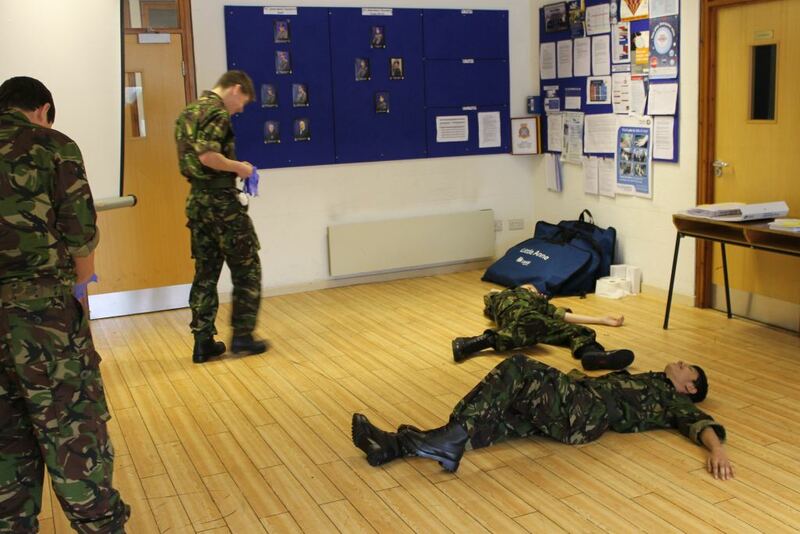 The casualties survived and the cadets passed. 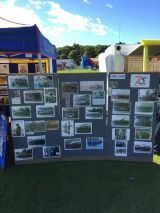 107 Squadron displays at the Highland Games. Staff and the Civilian Committee would like to wish all cadets and Parents/Guardians a Merry Xmas and a Happy New Year. 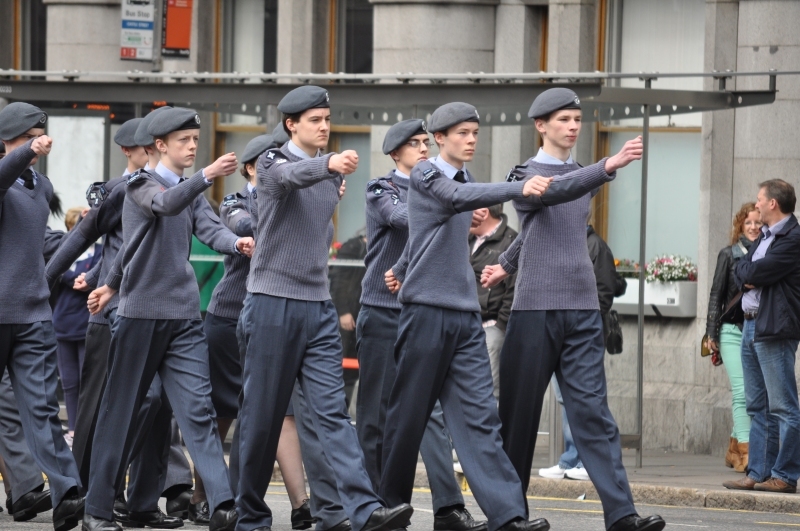 The next parade night is Monday 12th January 2015. 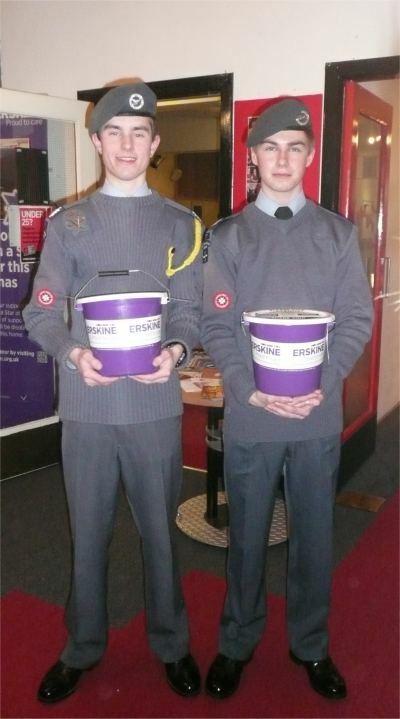 Thank you to all the cadets who gave up their Sunday for our fundraising bagpack, we raised a grand total of £842.55. 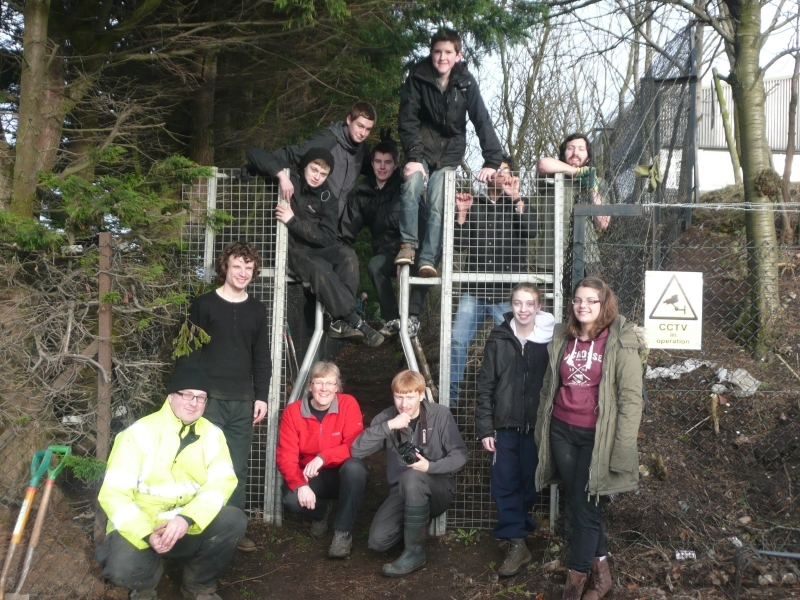 Today 4 cadets with CI Whitehead and other members of the public joined the Countryside Rangers (Simon and Rob) in the Pond Dredging volunteer day at Kincorth Hill Local Nature Reserve. 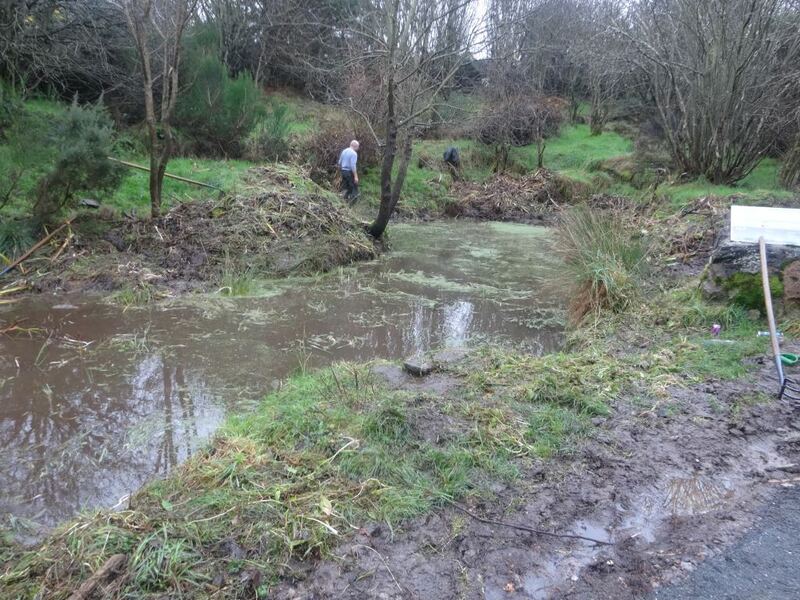 Using chromes and rakes, underwater plant material was removed to clear the pond for local wildlife. In fact, once the drainage pipe was cleared the water level dropped several inches to its preferred depth. 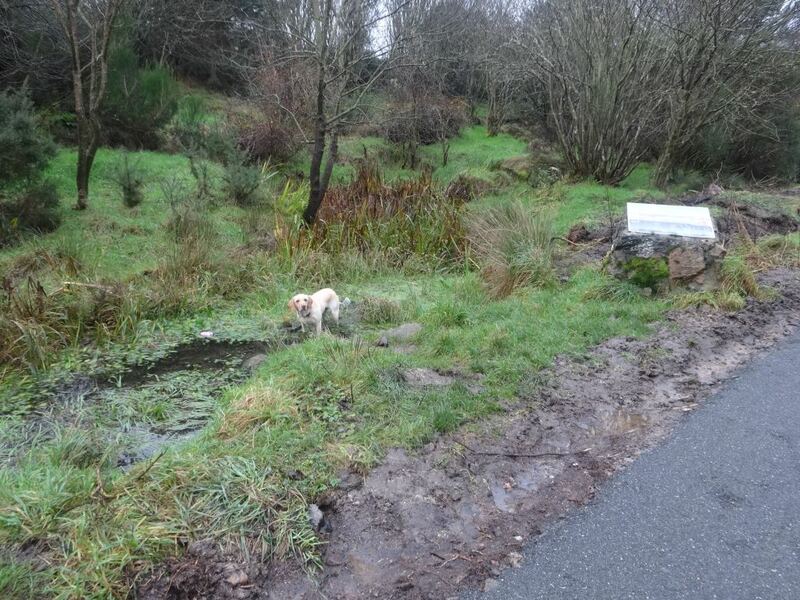 The pond was originally dug by hand by a local resident, Martin Forbes. 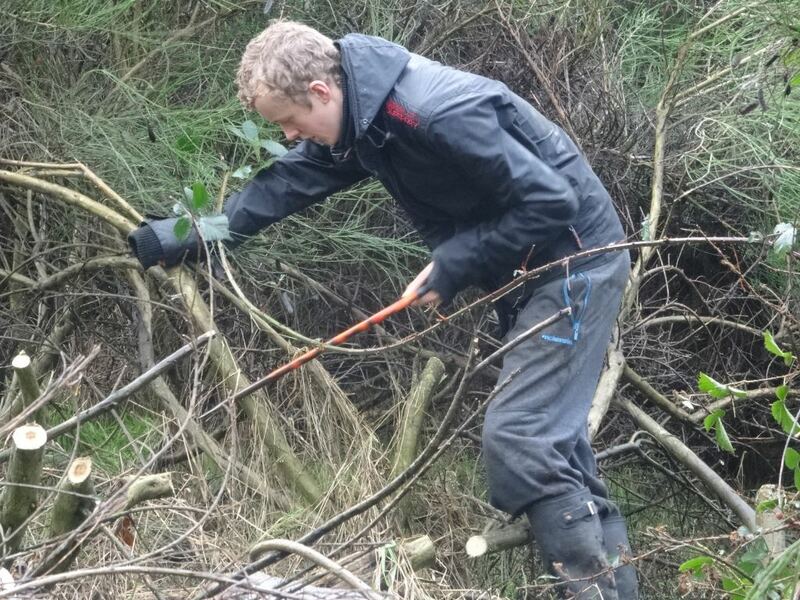 Some members of the team concentrated on cutting down gorse with saws and loppers. Ms Vorderman - herself a qualified private pilot has been appointed the Air Cadet's first female honorary ambassador. 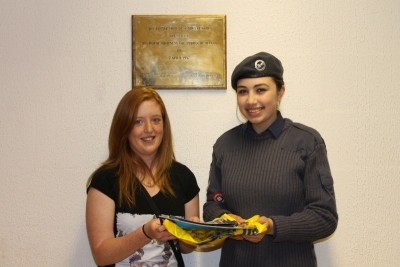 She said: 'I am truly honoured to be appointed as an ambassador for the RAF Air Cadets. 'I can�t wait to meet the cadets, and the adult volunteer staff who give so much of their time to support them,'. 'The cadets themselves are a shining example of the best of British youngsters, standing with them on a parade square will be a great privilege. Ms Vorderman gained her Private Pilot Licence (PPL) in December 2013 and her night rating in March 2014, and is continuing with higher level pilot qualifications ahead of a planned solo flight around the world in 2015. She has long been associated with RAF-linked charities including the Royal Air Forces Association, the RAF Benevolent Fund and the Bomber Command Memorial committee. 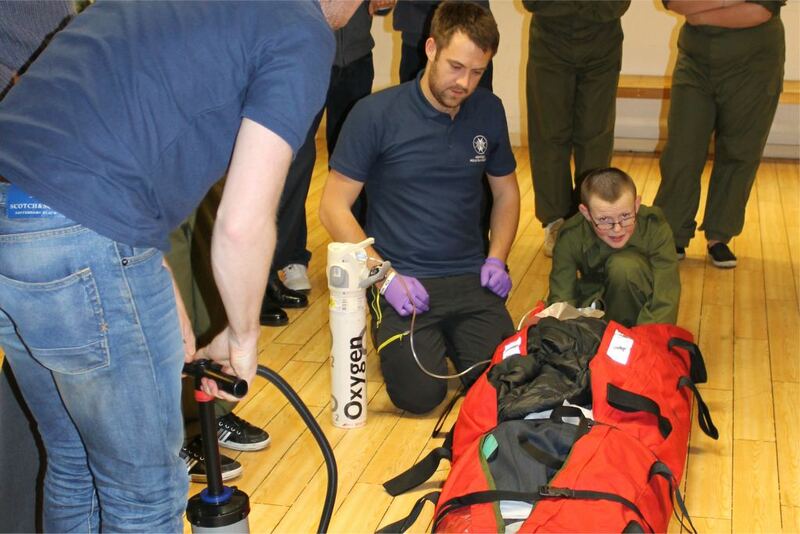 The Aberdeen Mountain Rescue Team were invited to come along to give a presentation to cadets. The evening began with a slide presentation about the AMRT and its activites followed by them displaying all the equipment they normally carried on their operations. 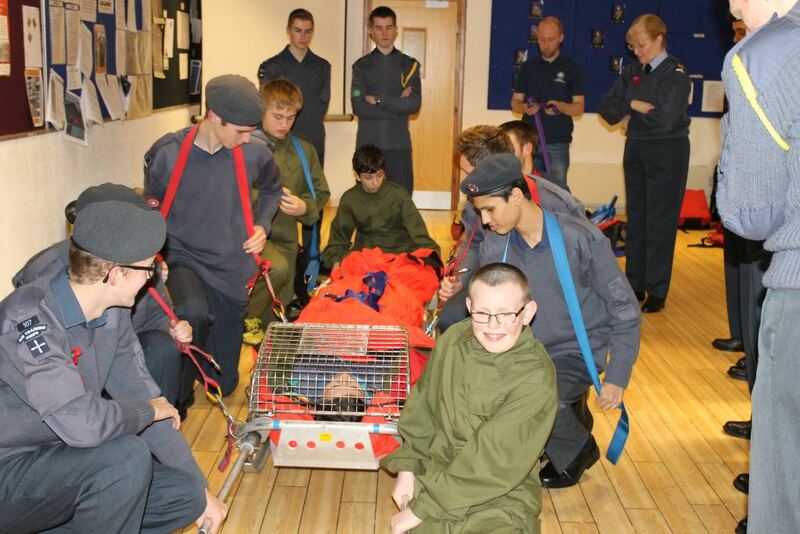 Following this there was a practical demonstration which allowed the cadets to get involved. 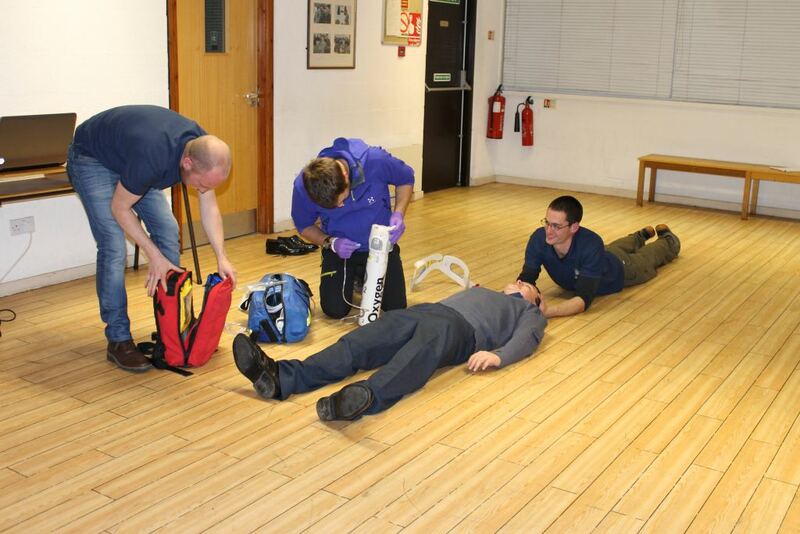 Scenario: A hill walker falls and breaks his pelvis. 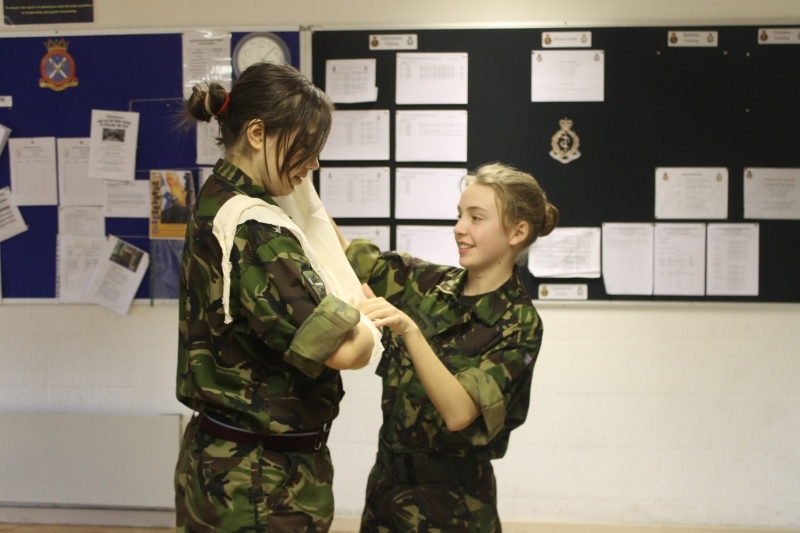 The cadets then saw how the AMRT assessed the casualty before going through the process of putting the casualty in a sling. This enabled the casualty to be put in the inflatable cover which protects him while he is evacuated from the mountain. 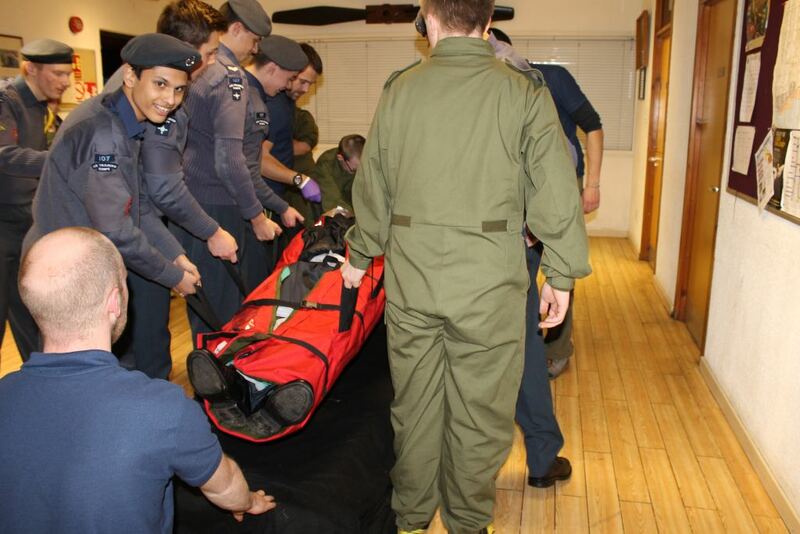 He is then lowered on to the metal stretcher which is carried to the awaiting helicopter. 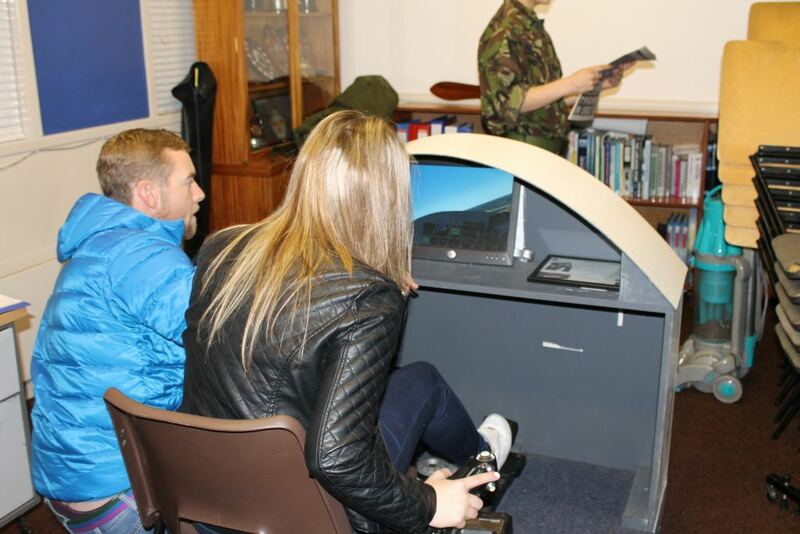 Cadets brought friends along one night for them to experience some of the activities we take part in and hear more about the Air Training Corps. Four have now decided to join the Squadron. 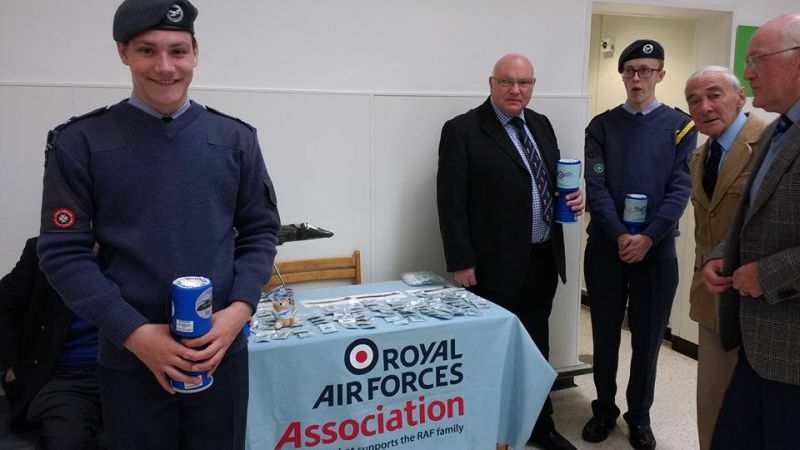 The Royal Air Force Association (RAFA), who provide for the welfare of current and past members of the RAF and their families, raise funds through the Wings Appeal. 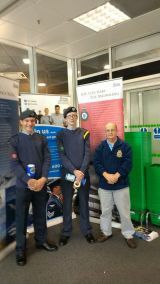 107 Squadron assisted by providing cadets for three events, a bag packing at Asda, street collections and collecting at a concert put on at the Albyn School. 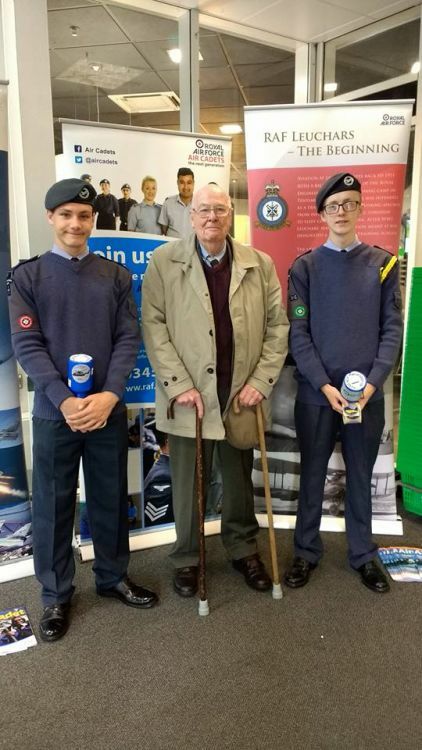 They raised �989 through their efforts towards the cause. 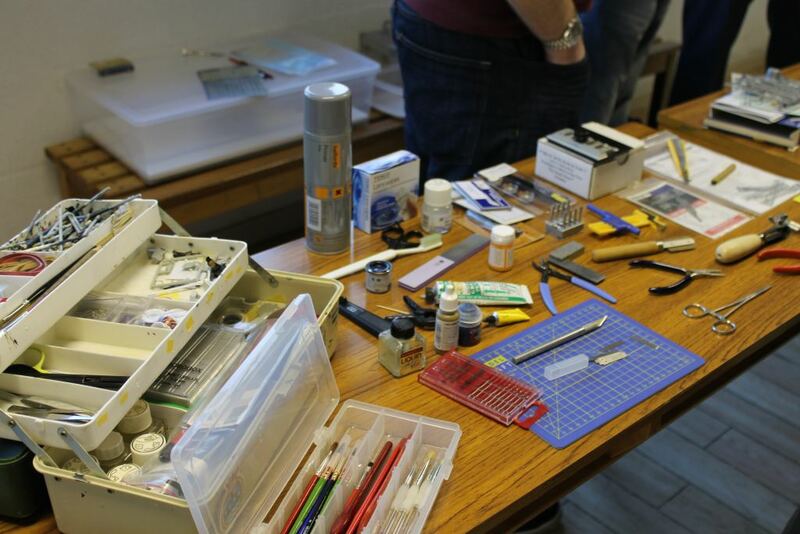 Three members of the Aberdeen Modellers Society paid their first visit to kick of the Spitfire project and give guidance on the method of assembly and painting. 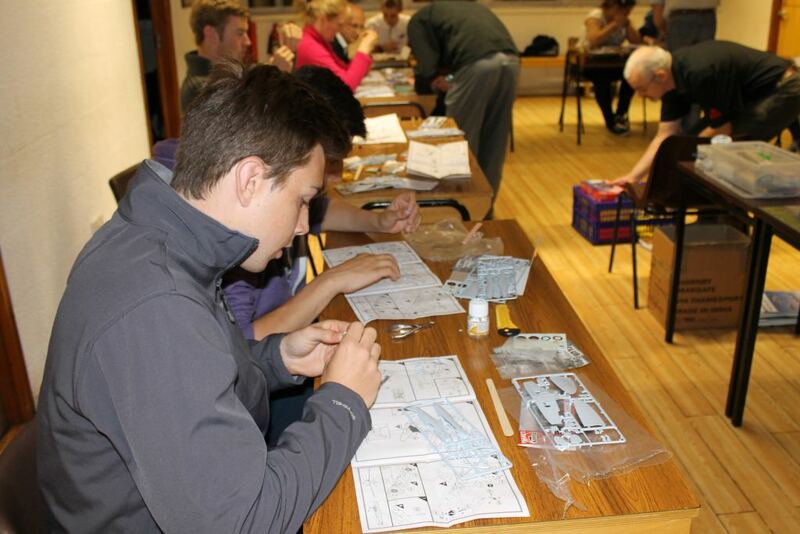 Twenty members of the Squadron including three members of staff had a go at constructing their own models. 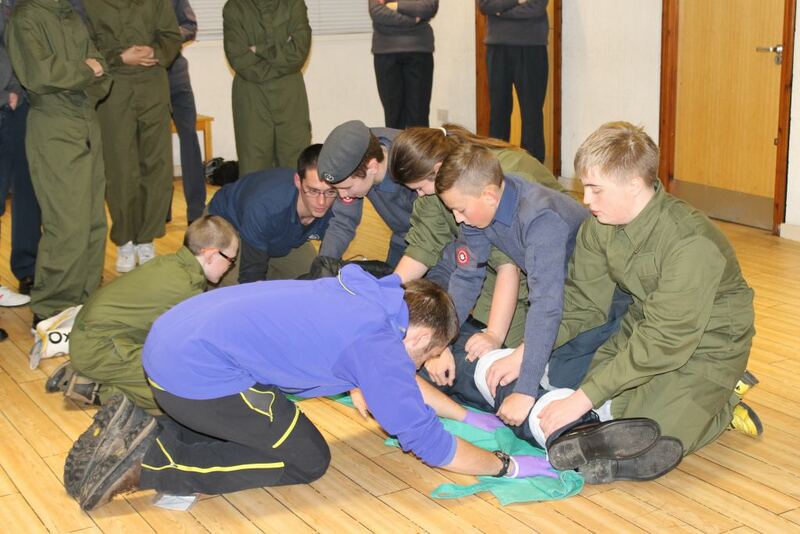 Sgt Simpson, our First Aid trainer, provided instruction on Youth First Aid for two parade nights and a weekend. 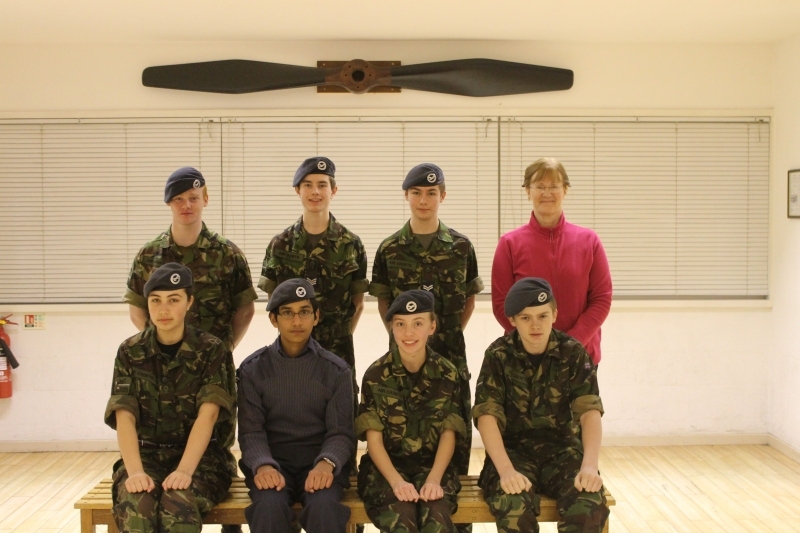 Eight cadets passed the course and were presented with their YFA badge. 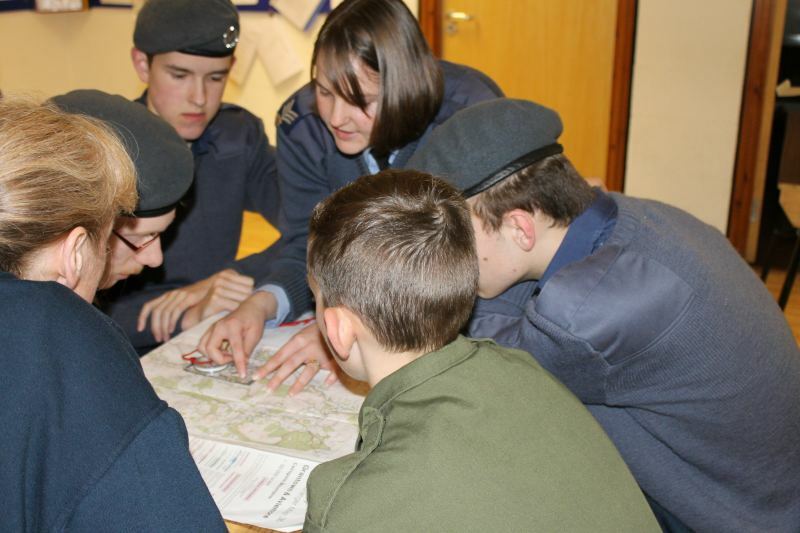 All of the Squadron underwent a two evening navigation training refresher covering all aspects of map reading and the use of a compass. 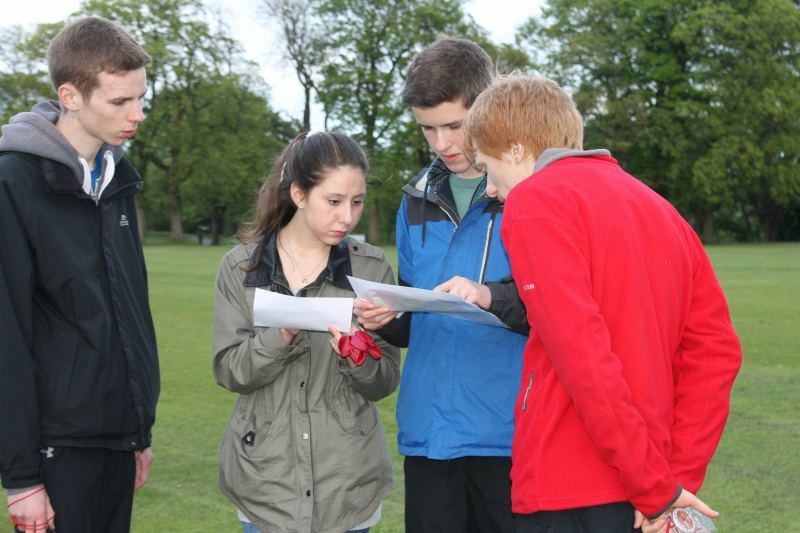 Following the training we spent an evening at Duthie park with a list of items or information to find, each located at a specific map grid reference. 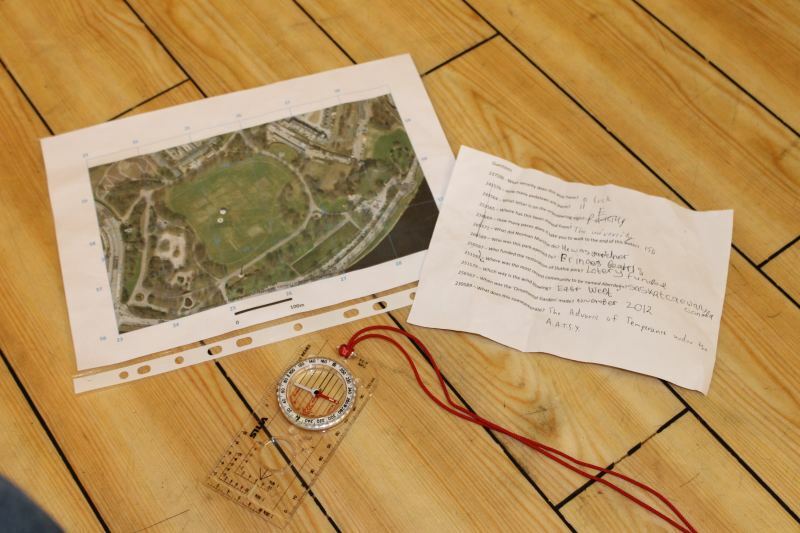 After initially trying to find small objects at rough grid references without success the cadets soon learned that proper use of the compass and romer markings paid dividends. 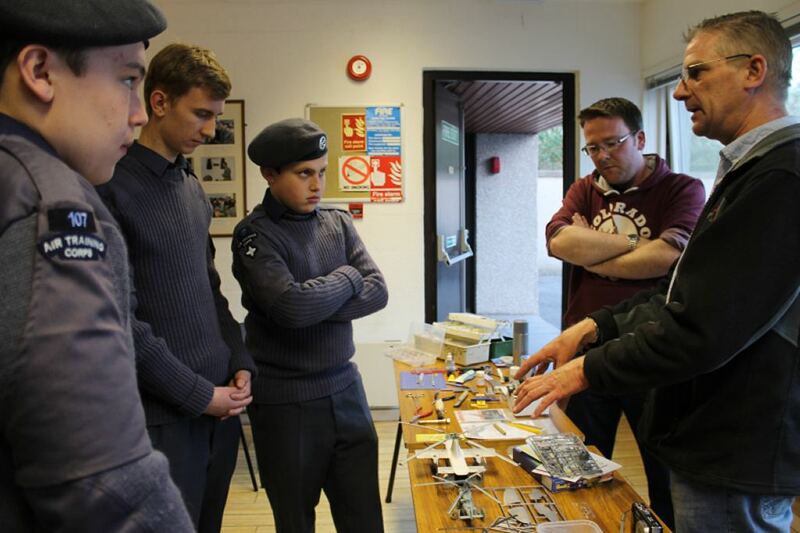 Two members of the Aberdeen Modellers Society spent the evening talking to the cadets about modelmaking and the detail they go into to end up with excellent examples of aircraft that they brought along to show. 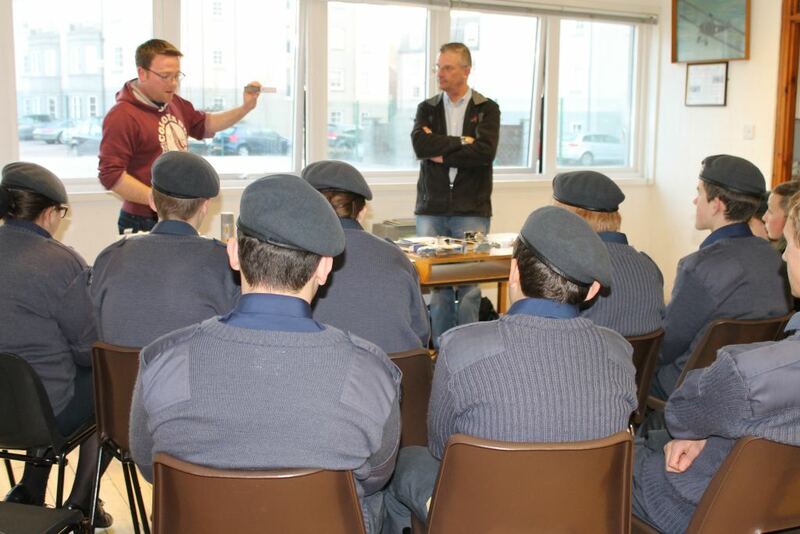 They discussed the variety of precision tools and techniques used, for example in cementing the parts together or pre-painting parts as part of the assembly process for a professional finish. 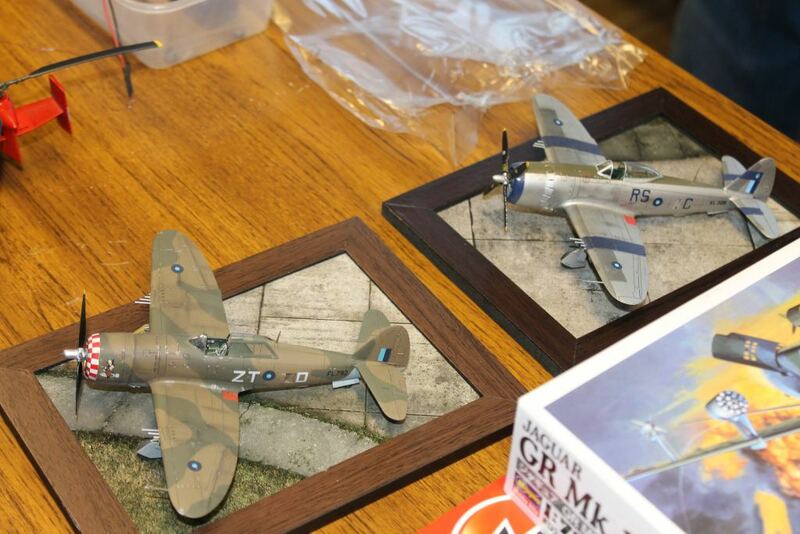 Between them they had many years of experience and instead of just gluing and painting a model they took it to the next level by installing lights and other examples of customisation. The importance of research for photographs from books or the internet was emphasised as key part of the planning to give ideas of finishes for added realism. 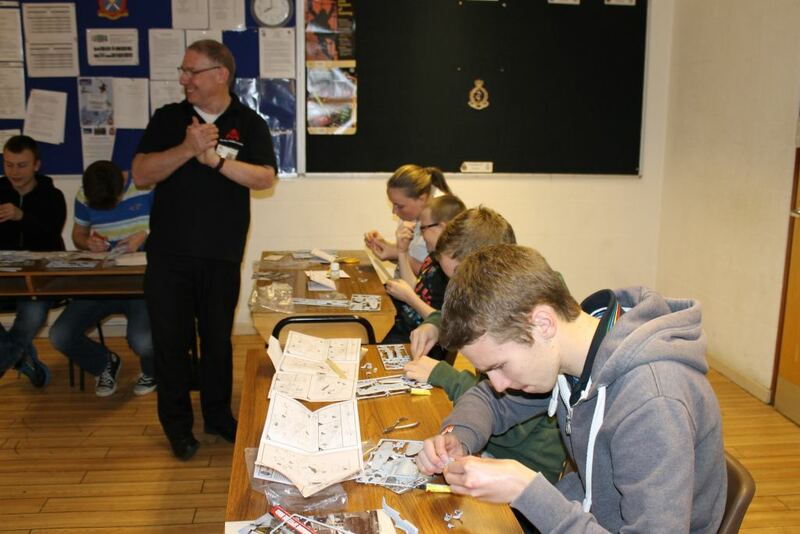 The Squadron will be buying enough Spitfire model kits for each cadet to practice with a view to them developing their interest and skills. To commemorate the centenary of the First World War, Aberdeen Opera Company performed "Oh What a Lovely War" at the Aberdeen Arts Centre from 4th to 8th March. 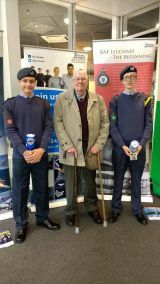 Throughout the week cadets from 107 (Aberdeen) Squadron and 102(Aberdeen Airport) Squadron attended the performances to collect on behalf of Erskine Hospital. Erskine cares for over 1,400 ex-Service and Serving men and women each year, providing unrivalled rehabilitation, nursing and dementia care in their homes throughout Scotland. The Sports evening on 5th February will now be at a swimming pool to allow us to carry out swimming proficiency tests. Details have been emailed to parents. 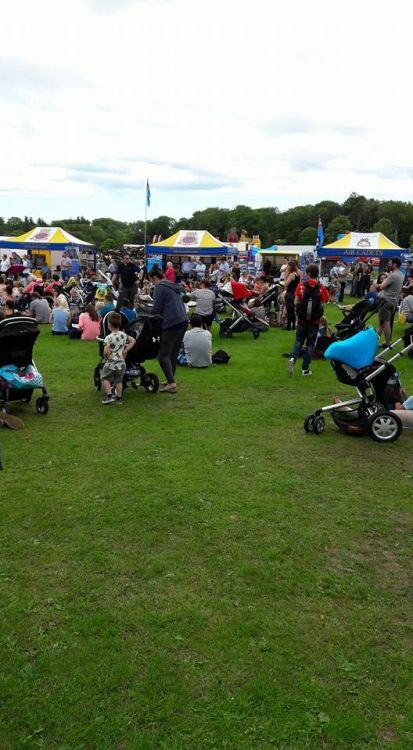 The 2014 List of Activities is now available on the under the Quick links section of the home page. This will be updated as and when were are advised of more events. 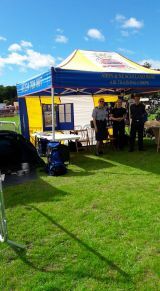 Cadets attended the Squirrel Woodland Conservation Day at Hazlehead Park organised by the Countryside Ranger Service. 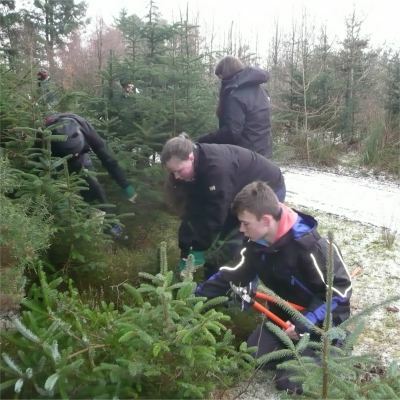 We joined foreign language students from the International House school and other students in to help in the removal of Spruce tree saplings from a couple of inches high upwards to encourage the regeneration of the Scots pine. The Scots pine seedlings are the favourite food of the Red squirrels and this exercise will help to increase their numbers in the area in future. 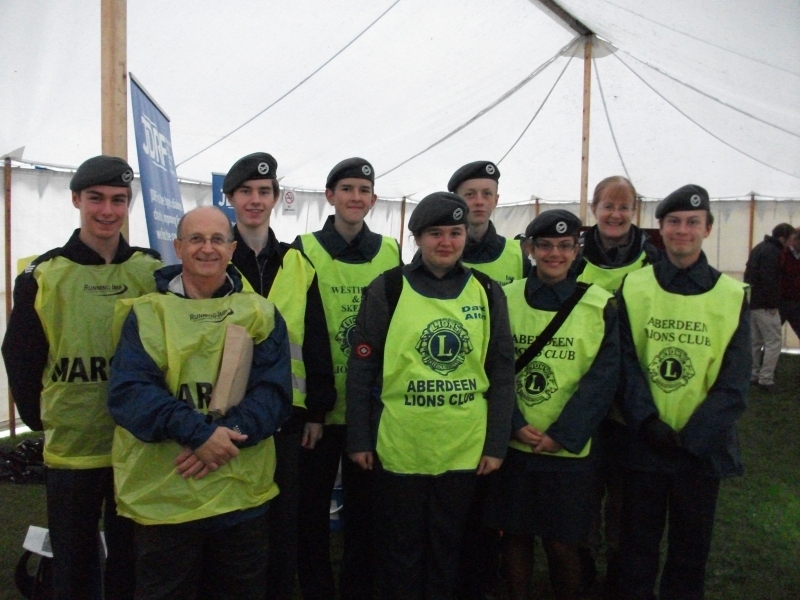 Today's community activity will count towards both the John Muir Trust and Saltire Awards for the cadets that attended. 107 (Aberdeen) Squadron took part in two Rembrance Day parades today. 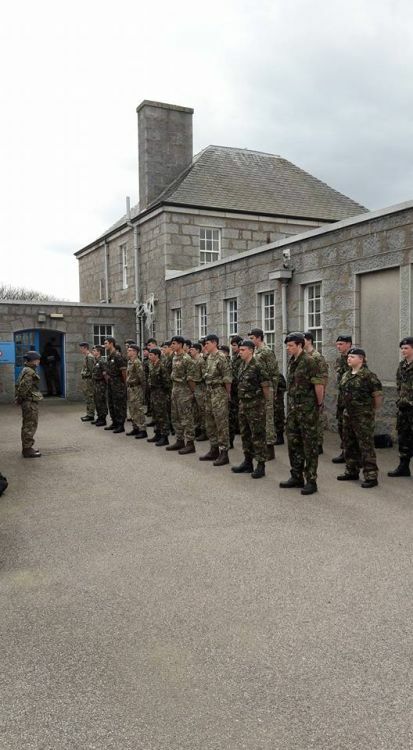 The first was the Aberdeen Rembrance Day parade to the War Memorial at the Cowdray Hall to join former soldiers and representatives of the armed services. This was a wreath-laying ceremony and a brief service of remembrance at 11am. 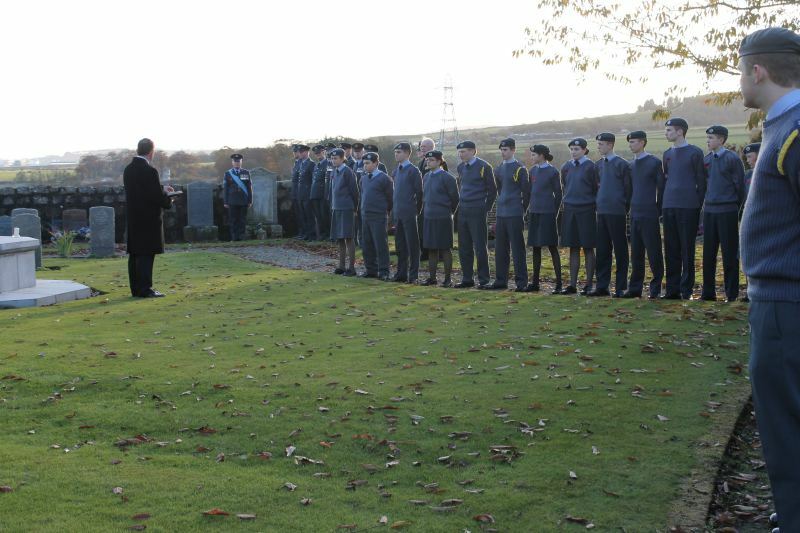 The second activity was a brief wreath-laying ceremony followed by each cadet planting a cross by a head stone in the Commonwealth War Grave cemetery in Dyce. 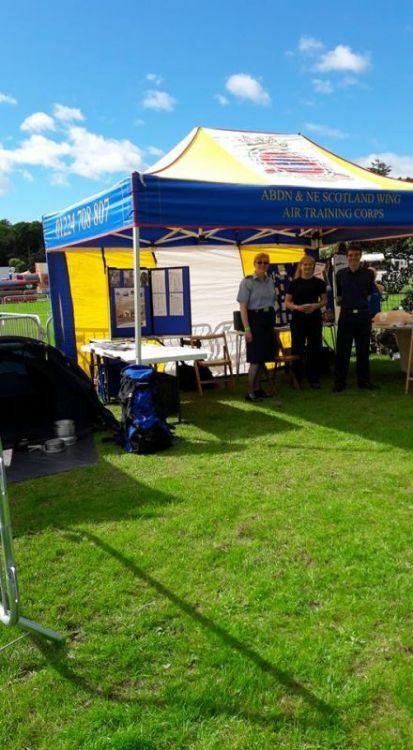 Here we were joined by 102 (Aberdeen Airport) Squadron and 875 (Westhill) Squadron as well as 612 (County of Aberdeen) Squadron, RAuxAF. 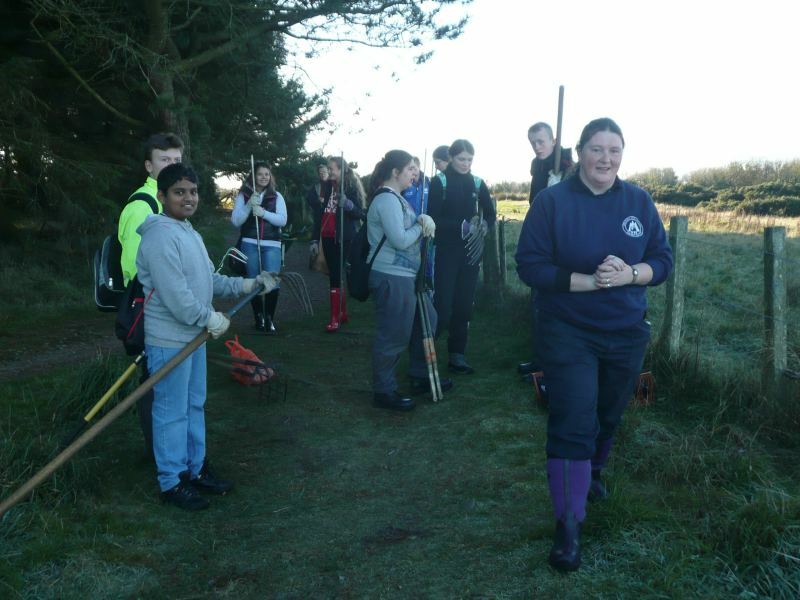 The cadets started their winter campaign of community activity with the Aberdeen Ranger Service with a day at Scotstown Moor Local Nature reserve. 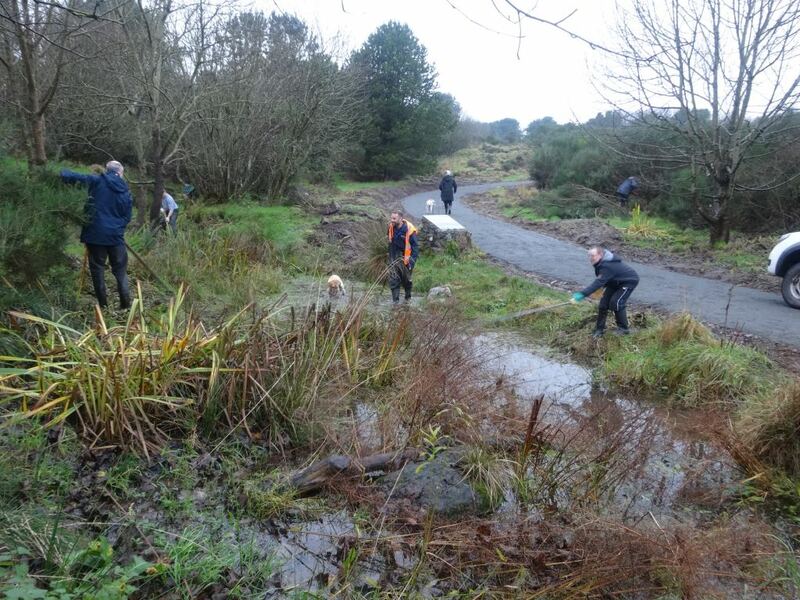 Together with other members of the public they were split into two groups, one clearing a wetland area and the other cutting back gorse which was invading a public pathway. 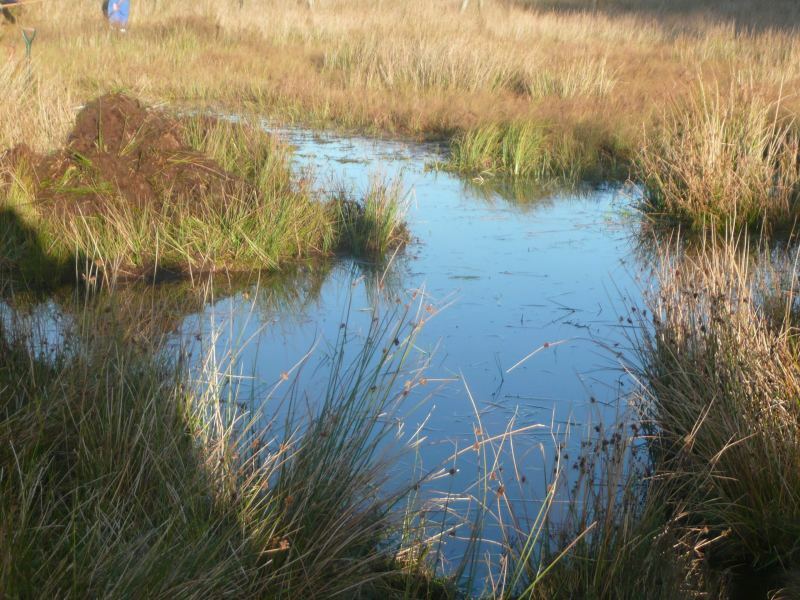 It was a frosty morning and those with wellies were soon stepping through a thin layer of ice and wading several inches deep in water over an area of wetland that had become clogged up with reeds so much that the water was difficult to spot. 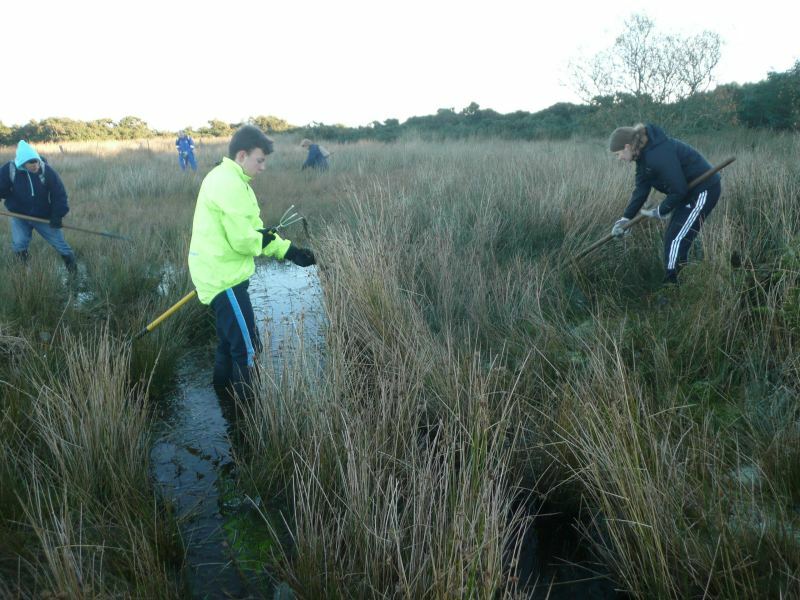 We spent the day clearing patches of reeds over two areas to allow the wildlife to florish. Two newts were spotted by the Ranger. 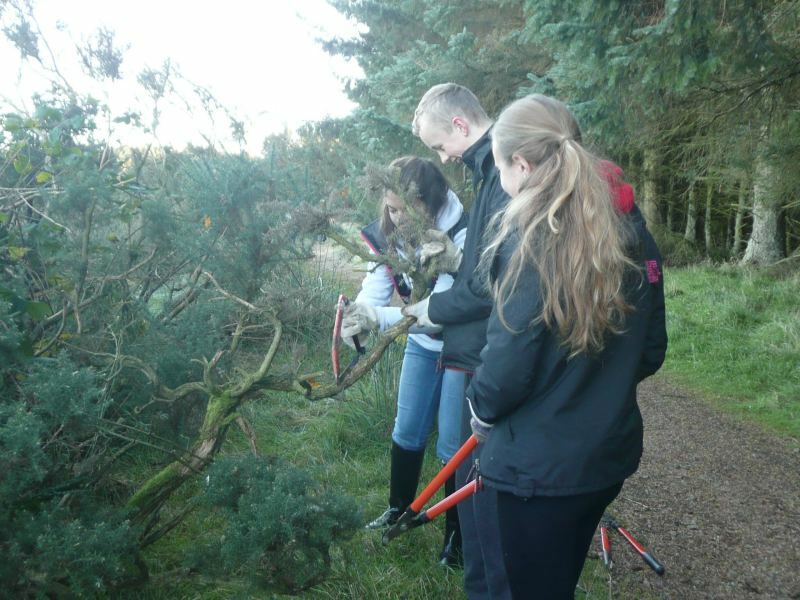 The other team cut back several areas of invasive gorse to make the path easier to use by dog walkers. Today's activity will count towards both the John Muir Trust and Saltire Awards. 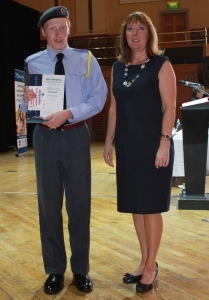 Cadet Carl Fuhrmann,of 107 (Aberdeen) Squadron, was presented with the Aberdeen City Council's Children and Young People's Working in the Community Award at a ceremony at the Beach Ballroom on 25th September. 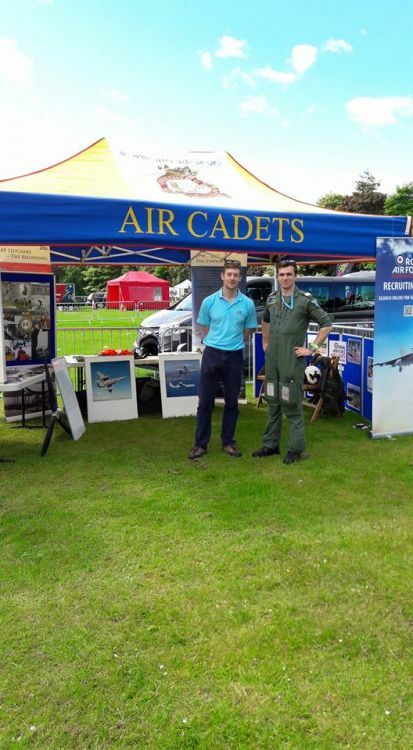 Since joining the Air Cadets in September 2009 Cadet Fuhrmann has been an enthusiastic member of the Squadron regularly attending fund raising bag-packs, sponsored runs/marches, assisting with marshalling at community events and taking part in public parades. He has completed his John Muir Conserver Award, won an Aberdeen Saltire Summit Award for volunteering (logging over 800 volunteer hours since February 2011) and encouraged fellow cadets to take part in the John Muir and Saltire Awards. Over 2011/12 Cadet Fuhrmann raised �2000 for the RAF Association through multiple fund raising events and so far this year has raised nearly �1000 for the Bucksburn Academy Additional Support Needs Wing. 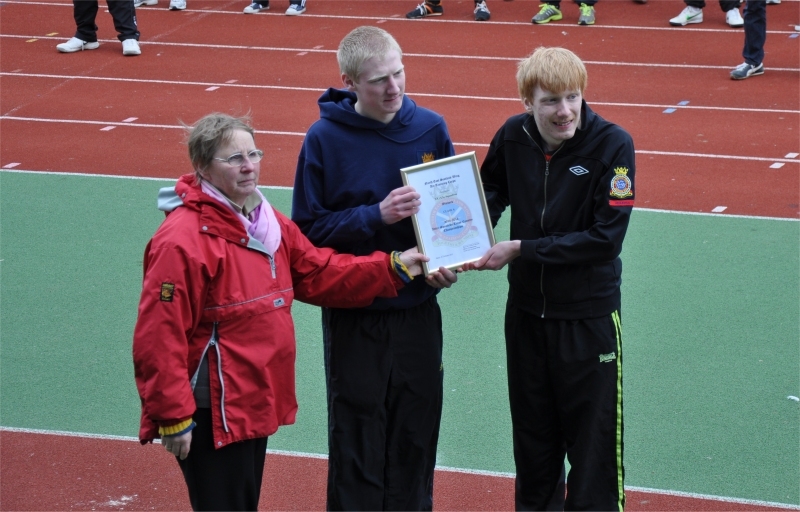 Cadet Fuhrmann was also nominated for the Aberdeen City Children and Young People�s Physical Achievement Award for his personal and team efforts in Scotland wide paralympic and special olympic swimming and athletics events. 107 Squadron was asked again to assist in helping with marshalling duties at the JDRF Walk held in Hazlehead Park. As last year we joined with the Aberdeen Lions Club volunteers to man positions round the 5K and 7K walk routes to direct participants round the course. 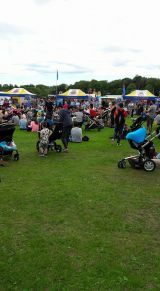 The weather forecast was not good which reduced the number of walkers but in the end it stayed dry. JDRF is a charity whose aim is to fund research that will cure, treat and prevent type 1 diabetes and its complications. 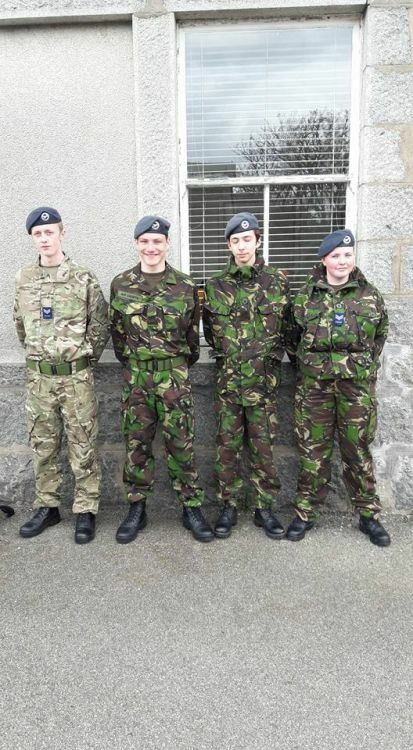 Last weekend three cadets joined 2367 (Banchory) Squadron on an overnight Bronze Duke of Edinburgh practice expedition in and around the Glen Tanar estate. 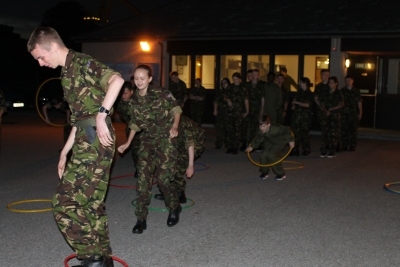 The Armed Forces Careers Office (AFCO) paid a visit for an action packed evening of team exercises. 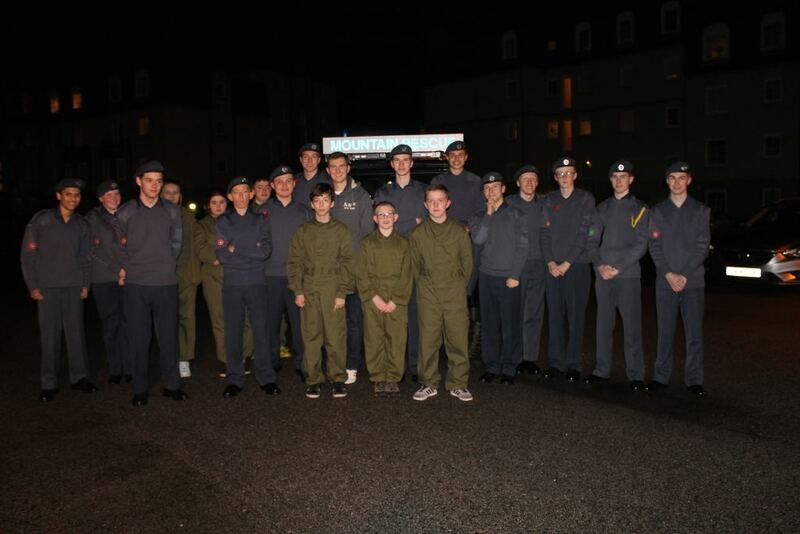 We were joined tonight by 102 (Aberdeen Airport) Squadron. 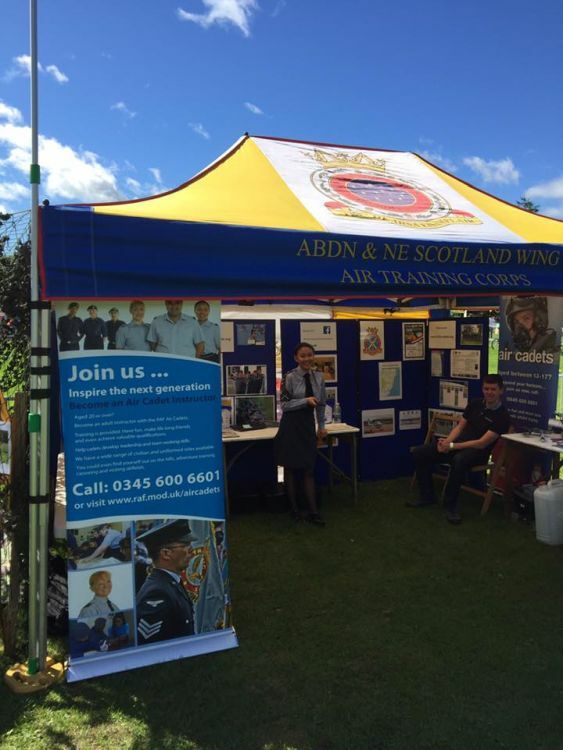 They will make a subsequent visit to give a talk on careers available in the RAF. 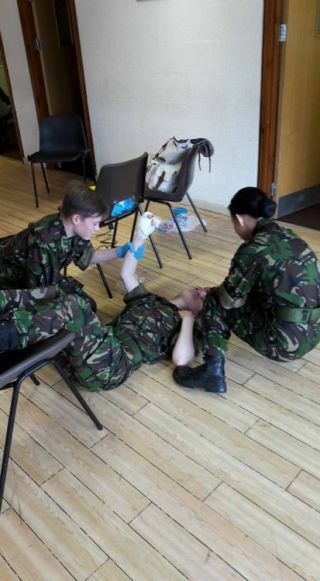 Sgt Simpson continued with her instruction on Youth First Aid courses with a full weekend course. At the end of the course the cadets had earned their red YFA badge. 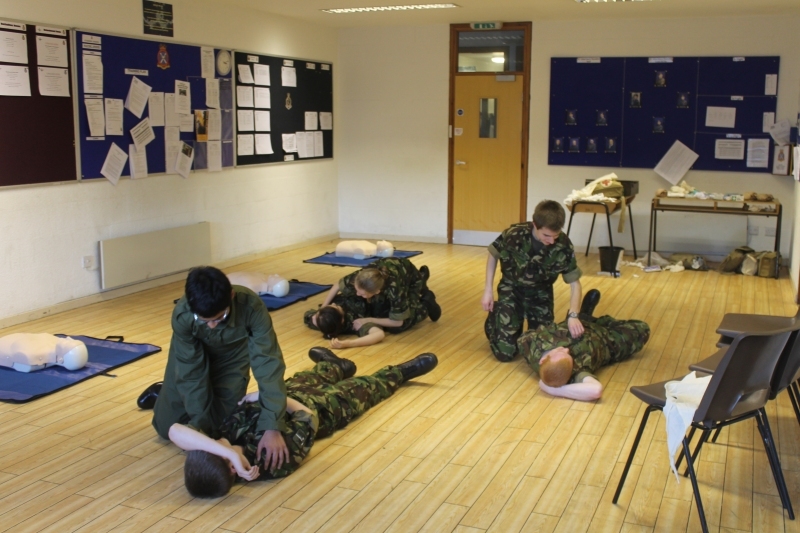 A large proportion of the Squadron has now completed this course. 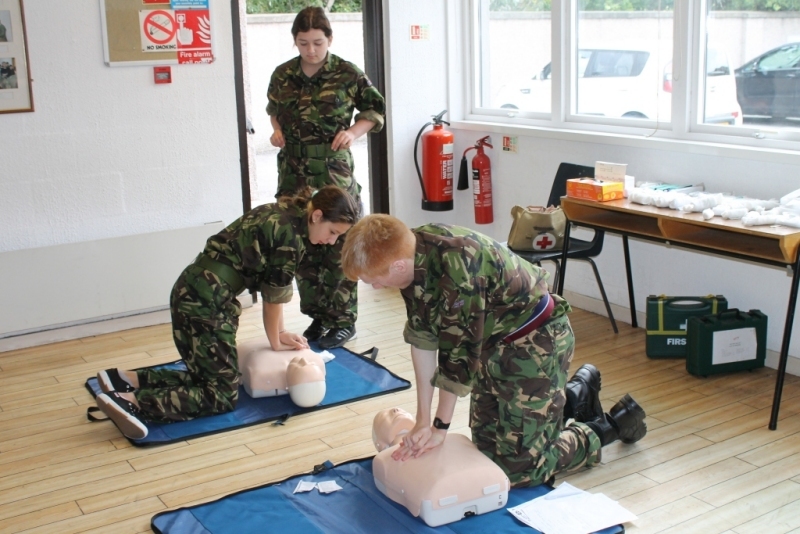 In addition the whole Squadron is receiving instruction on HeartStart training during normal parade nights over the next couple of months. Our local community police officer came to demonstrate the equipment he carried and give us an interesting talk on his experiences. 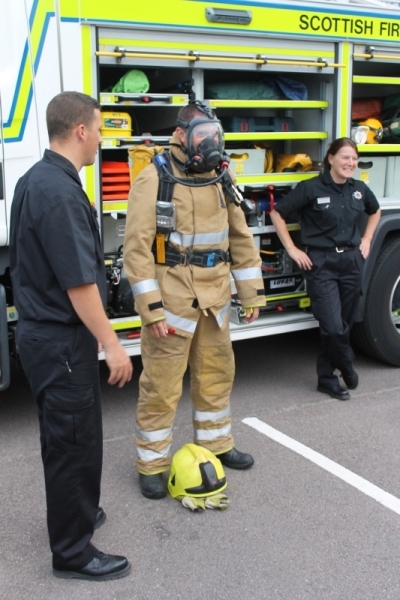 An appliance and crew from Altens Fire Station came to give a talk on fire safety and let cadets get a close up to the equipment carried in the vehicle. 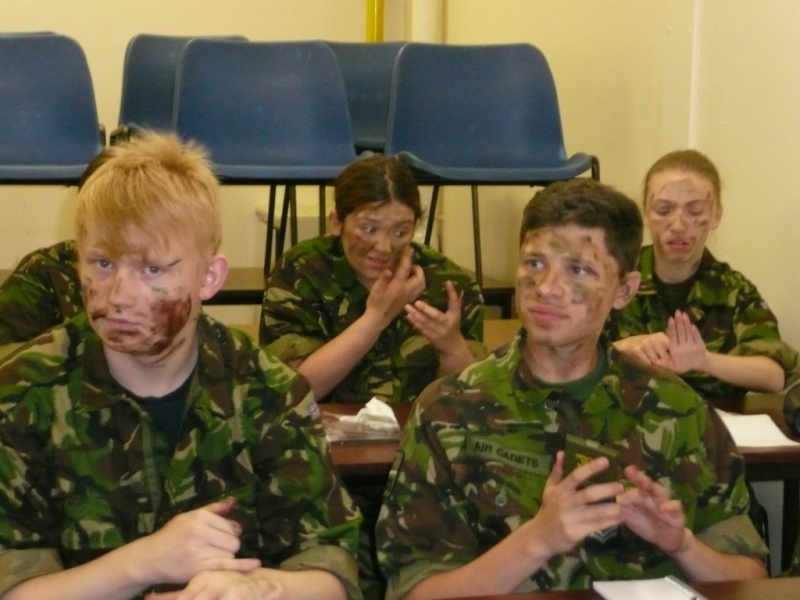 Cadets have spent a weekend learning Fieldcraft skills. 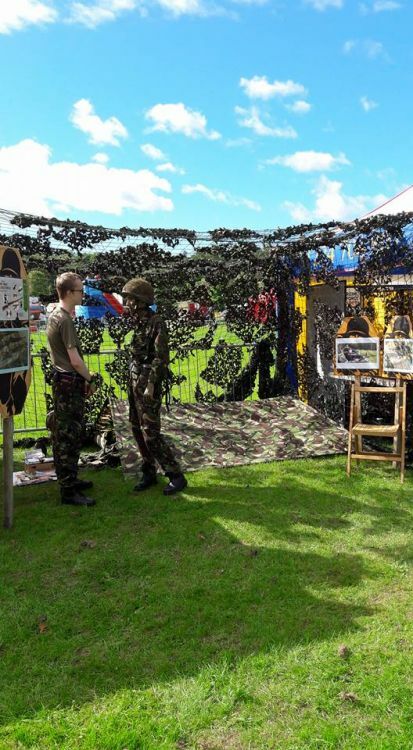 This ranged from camoflage and concealment, how to conduct a patrol, erecting bivuoac shelters and learning to cook with ration packs in the field. After some classroom instruction the skills learned were paractised in in a practical environment. The weekend culminated in a late night exercise patrolling a wooded area looking for anything out of place and enemy patrols. 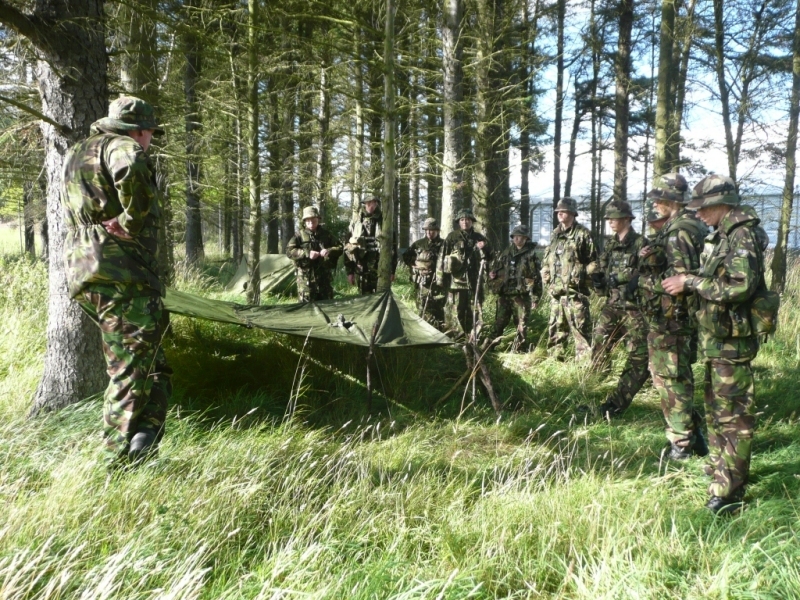 The construction of the bivvy shelters was put to the test with the cadets sleeping out for the rest of the night. 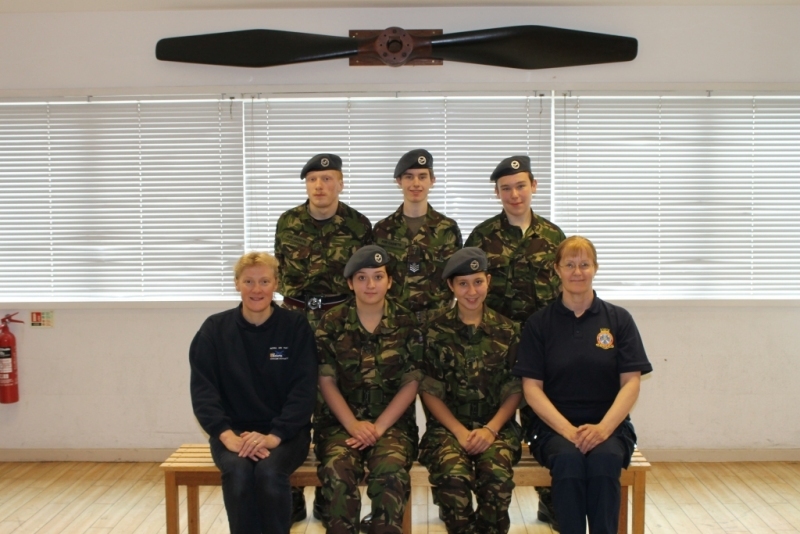 107 (Aberdeen) Squadron have been involved with the John Muir Award and Saltire Award schemes over the past year. 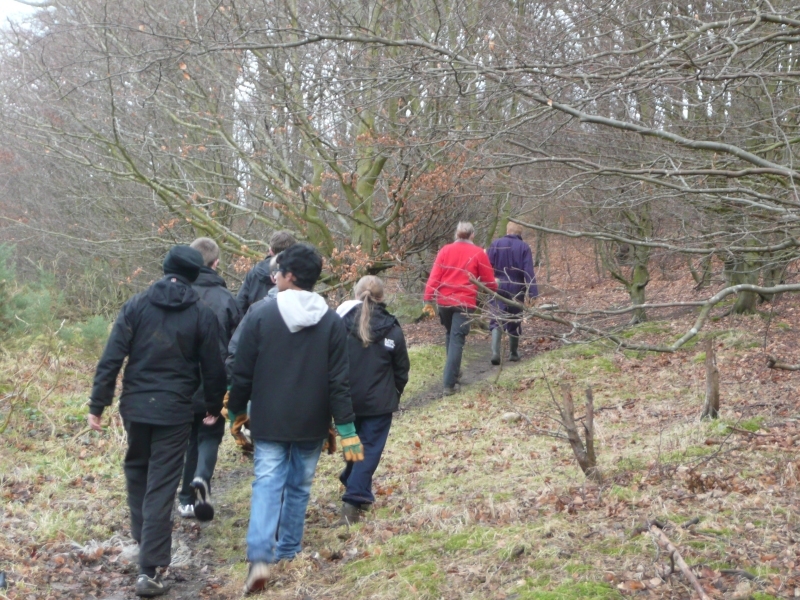 The John Muir Award is an environmental award scheme focused on wild places. It encourages awareness and responsibility for the natural environment, in a spirit of fun, adventure and exploration. 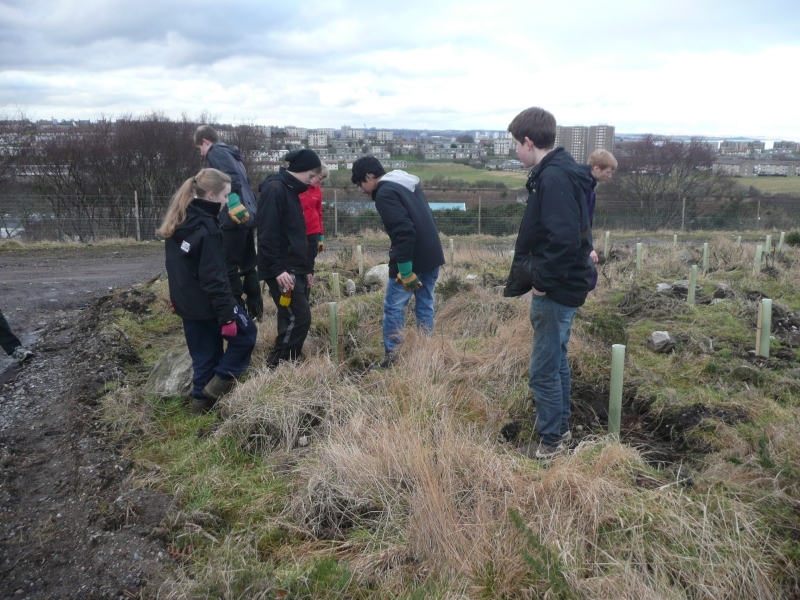 The Award is open to all, and is the educational initiative of the John Muir Trust. Four Challenges are at the heart of each John Muir Award; discover - explore - conserve - share. 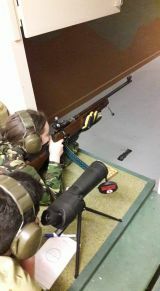 The many activity days that the squadron has participated in with the Aberdeen Ranger Service has counted towards this award. Saltire Awards are the new Scottish awards designed to formally recognise the commitment and contribution of youth volunteering to voluntary organisations. Supported by the Scottish Government the Saltire Awards enable young volunteers to record the skills, experience and learning gained through successful volunteering placements provided by local and national voluntary agencies. All the time spent with the ATC counts towards volunteering hours. We have several cadets in the squadron working toward different levels of these awards. 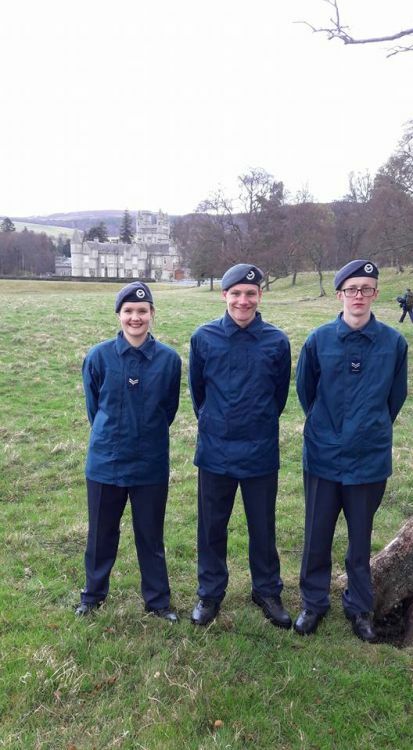 One cadet, Carl Fuhrmann, has successfully completed the highest level of both awards, Conserver Award and Saltire Summit for his contributions to each scheme both in and outside of cadets. He received his Saltire Summit Award at a recent ceremony at the Music Hall in Aberdeen. Following on from the Duke of Edinburgh Award expedition training in the squadron, cadets can find a link to the DofE website Expedition Resources page here and on the 107 Squadron DofE page. 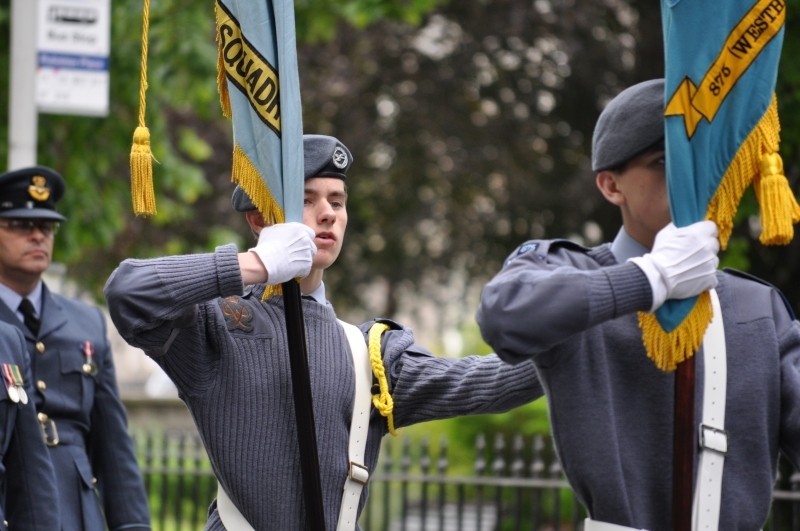 107 (Aberdeen) Squadron joined with other Air, Army and Sea cadet units in the Armed Forces Day Parade which was led by Pipe Bands, Armed servicemen and veterans. 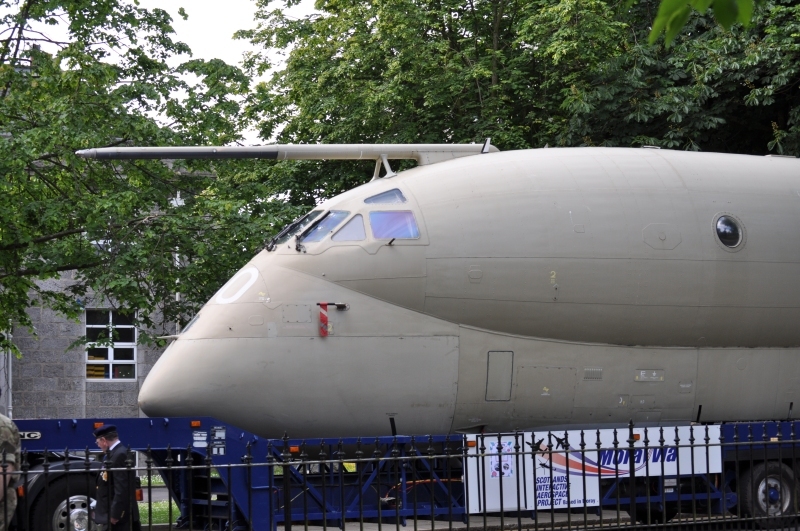 They were followed by vintage military vehicles and the front part of a Nimrod. 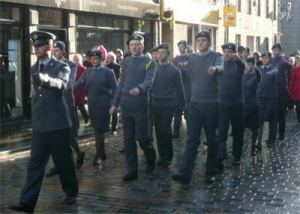 They marched the length of Union Street which was lined by members of the public. 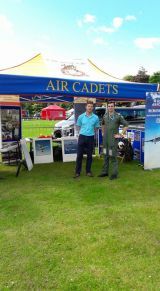 We were very proud to welcome a fellow Air Cadet from New Zealand this evening. Cpl Aleisha Postlewaight, who is over on month's visit to Scotland, belongs to 75 (Arawa) Sqn. Currently her squadron has twelve cadets. She was given a tour of 107 Sqn and following the evening briefing session had a chance to mingle with our cadets over canteen break. 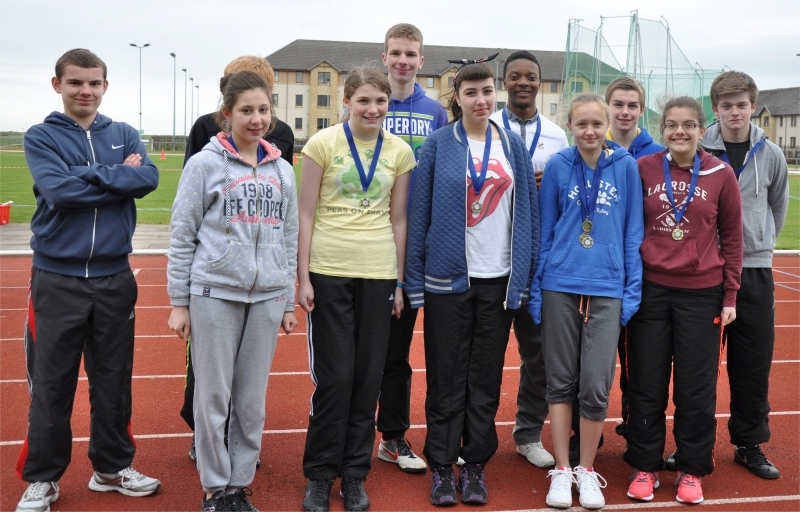 107 Squadron had a successful day at the NESW athletics competition. 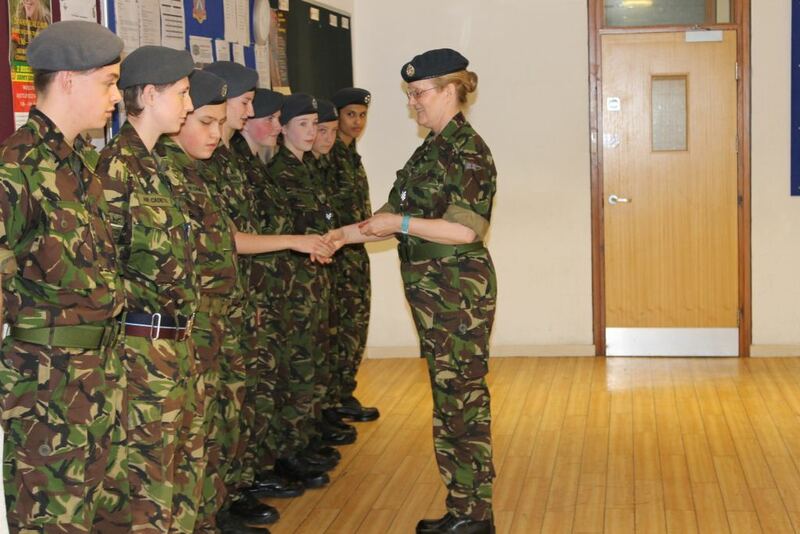 Overall the Squadron came fourth in the competition with Cdt C Fuhrmann receiving a joint Class C Victor Ludorum award as well the cadets earning other individual and class medals. 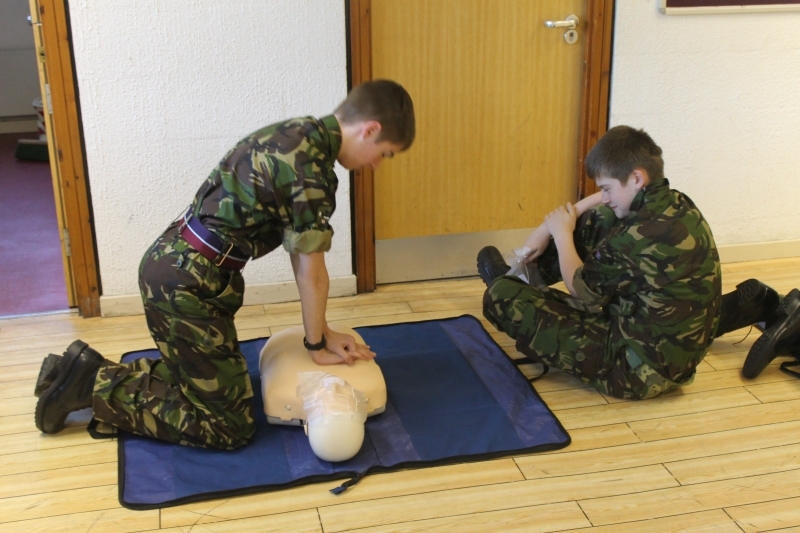 Two successful Youth First Aid Training Courses have been completed at 107 (Aberdeen) Sqn ATC. 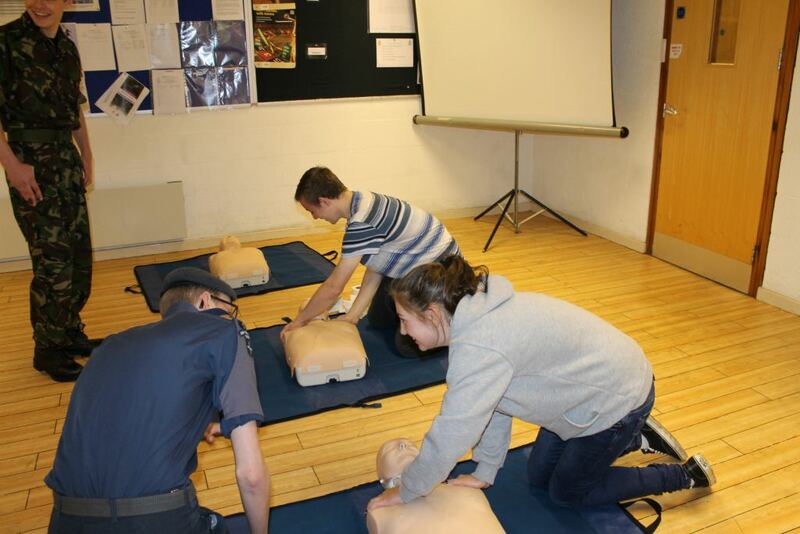 In each course the cadets spent two evenings and a full weekend studying the St John�s Ambulance syllabus with PowerPoint presentations, DVDs, worksheets and practical exercises. 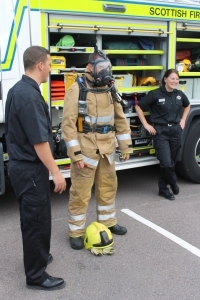 The subjects covered were medical conditions including diabetes, epilepsy and heart conditions and situations such as burns, choking, head injuries and poisoning. Practise with resuscitation manikins, for CPR, and each other, for care of the unconscious casualty and control of bleeding, was good preparation for the test. 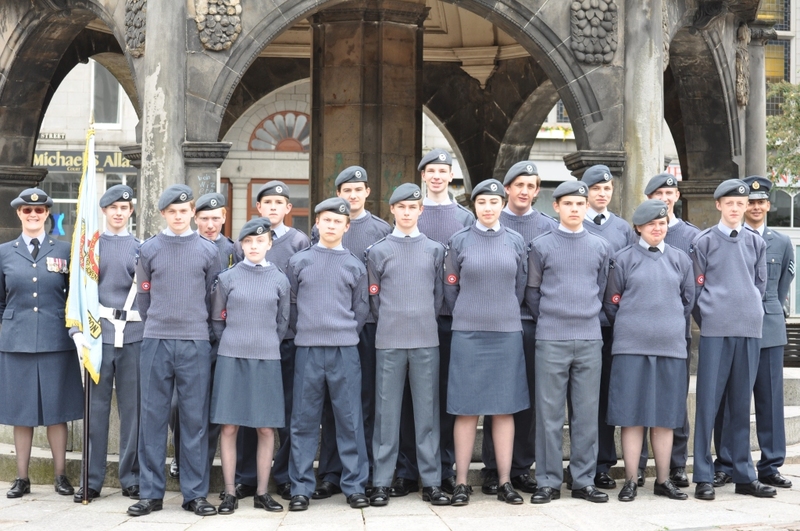 14 cadets have gained their distinctive red badge to wear on their brassard with pride. 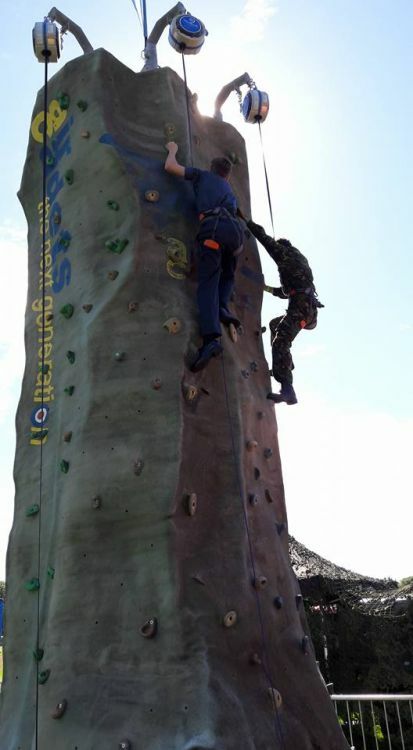 107 Sqn were again joined by 102 Sqn for a joint sports evening. 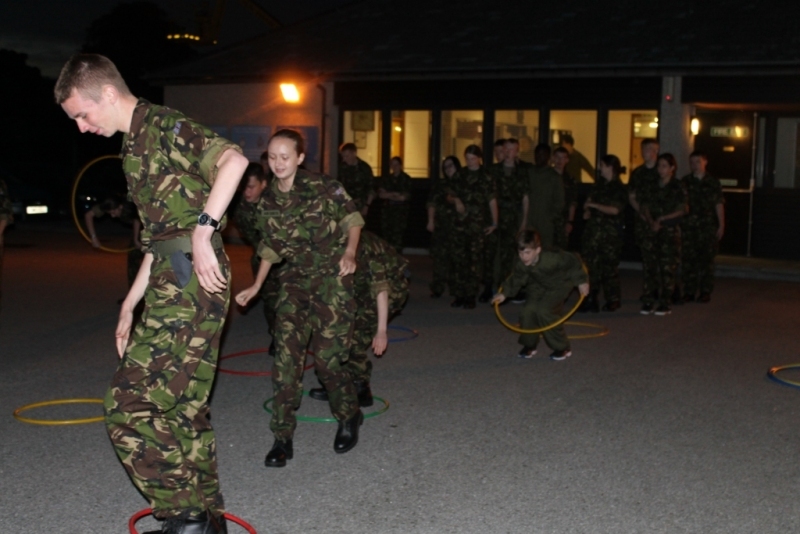 It was the turn of Cpl Tibbetts to organise the monthly event which consisted of rotating through numerous exercise stations during the evening and included a testing push up challenge. 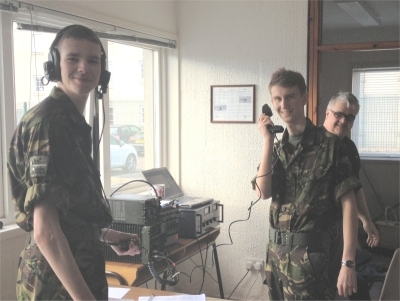 Eight cadets, supervised by the Squadron Radio Officer, took part in a national HF Radio Exercise on Sunday 3rd March. 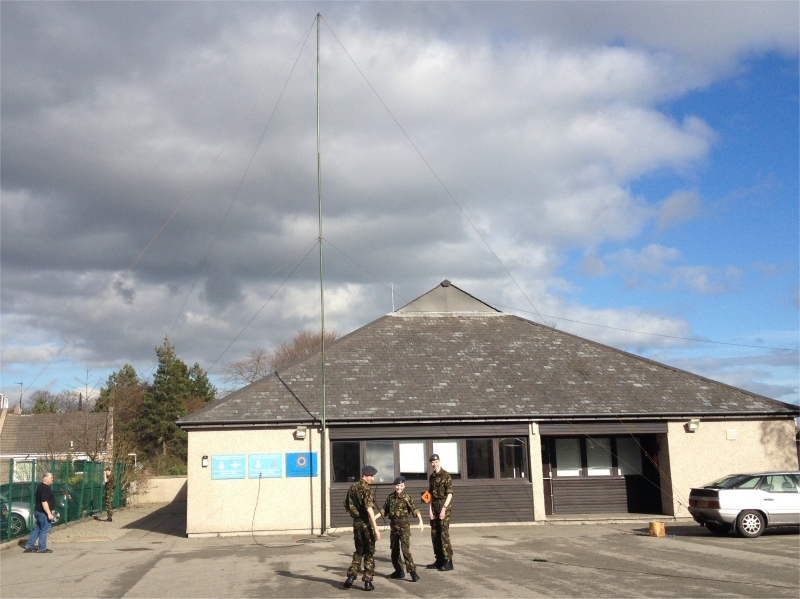 The day started by setting up the radio station within 107 Squadrons parade hall and raising the mast used to support the rather large HF radio antennas. Once all the equipment had been checked out and the antenna matched in the transmitter, the cadets made an 'Alpha Charlie' radio check request and were somewhat amazed when they got an immediate reply from 425 (Aldrige) Squadron located in Staffordshire. Initially conditions were quite good and once the contest got underway we managed to exchange three contest messages with both 425 (Aldrige) and 1132 (Stalham) in Norfolk. As the morning progressed the receiver at 107 became swamped with local interference making receiving contacts almost impossible. This was unfortunate as after the event we got reports that we were heard loud and clear over most of the UK and most of the participating stations were trying to make contact as contest points were being awarded for the longest distances achieved. After the end of the contest some general listening tests were made and we found that the interference was much lower on the 7MHz Amateur radio band and contacts were monitored from Filey, in Yorkshire and Warrington, near Manchester. 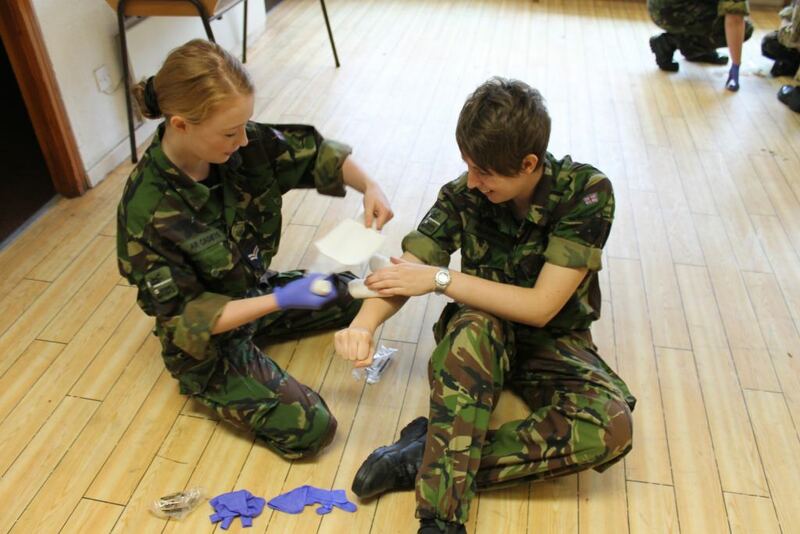 The cadets attending found that whole exercise interesting and can�t wait for the next event to be organised. 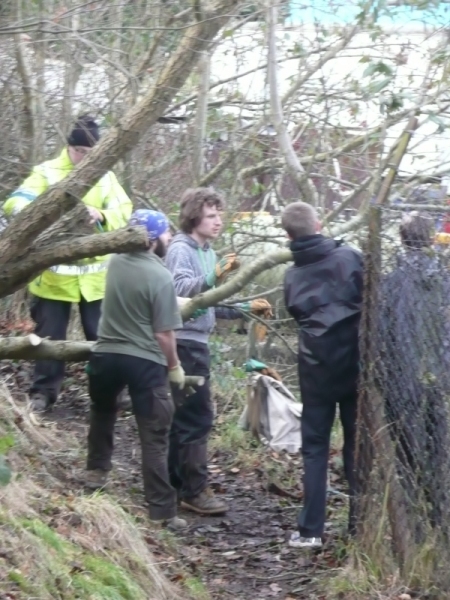 Eight cadets and two members of staff from 107 Squadron joined Stephen Bly, the Woodlands Community Ranger, and other members of the public on an area of Tullos Hill which had been neglected for many years. 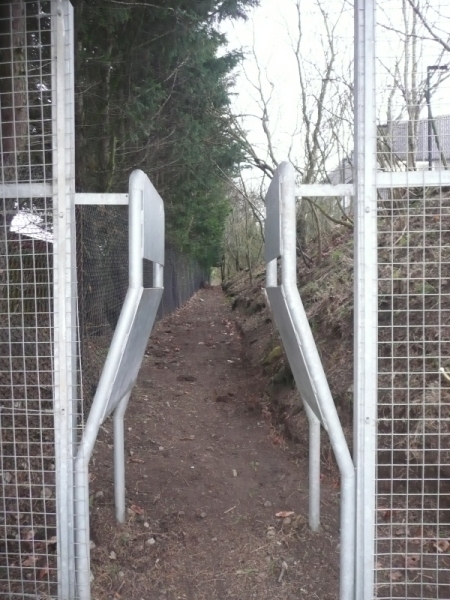 A wooded area near Greenbank Place is to be brought back into use as an outdoor classroom for nature studies and other activities. 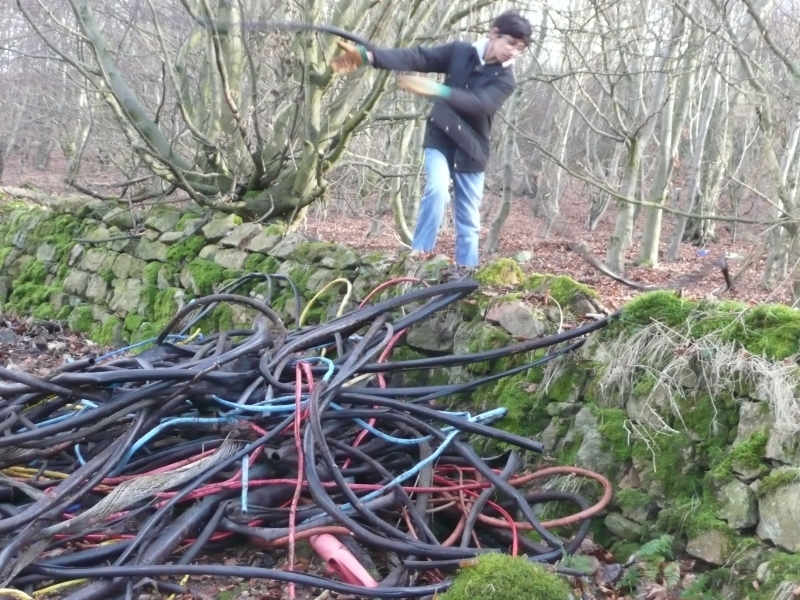 Our main tasks were clearing the pathway from the road to the woodland of litter and leaves and areas where it was overgrown as well as collecting masses of plastic cable sheathing which had been dumped throughout the woods. Sgt Griffin and Cpl Lynch spent time with the Ranger and other members of the public in planning and executing the removal of a large tree branch encroaching on a neighbouring property without damaging the fence and security lights. 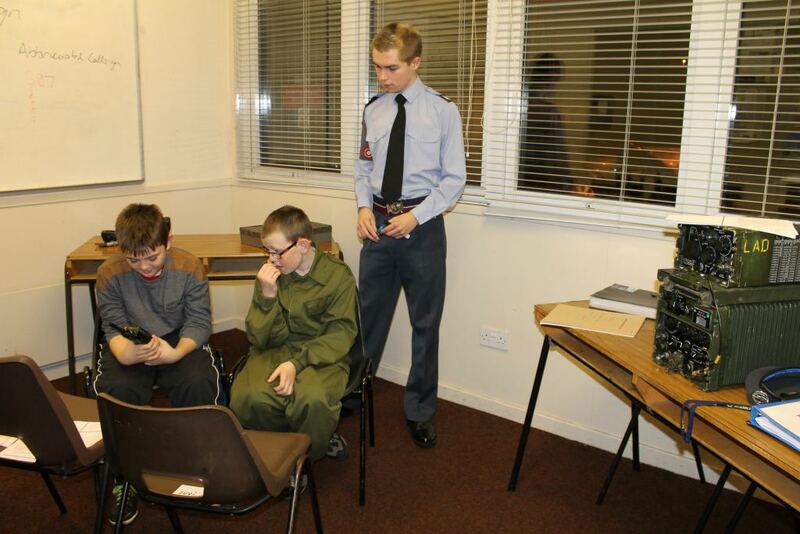 Several discarded objects found in the clean-up were put on display at lunchtime with cadets Baxter and Reid getting the other cadets try to identify what they were. Later in the day we took a break for an exploration walk of the immediate area and inspected the tubed trees at the top of the hill which were planted last year. 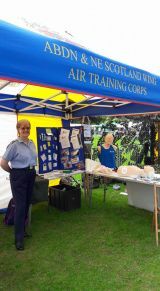 The Woodlands Community Ranger actively promotes the John Muir Award which is an environmental award scheme focused on wild places. It encourages awareness and responsibility for the natural environment, in a spirit of fun, adventure and exploration. 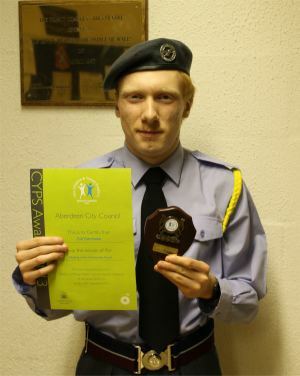 As we regularly work with the Countryside Ranger Service, several 107 Squadron cadets are now undertaking this award with the help of CI Fuhrmann. 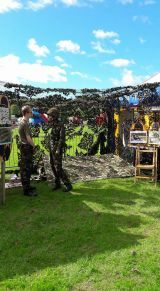 The weather was great and the cadets thoroughly enjoyed the day and found it passed quickly due to the variety of tasks undertaken. In February it was the turn Cpl Lynch to organise the monthly squadron sports evening which this time had an Olympic theme. 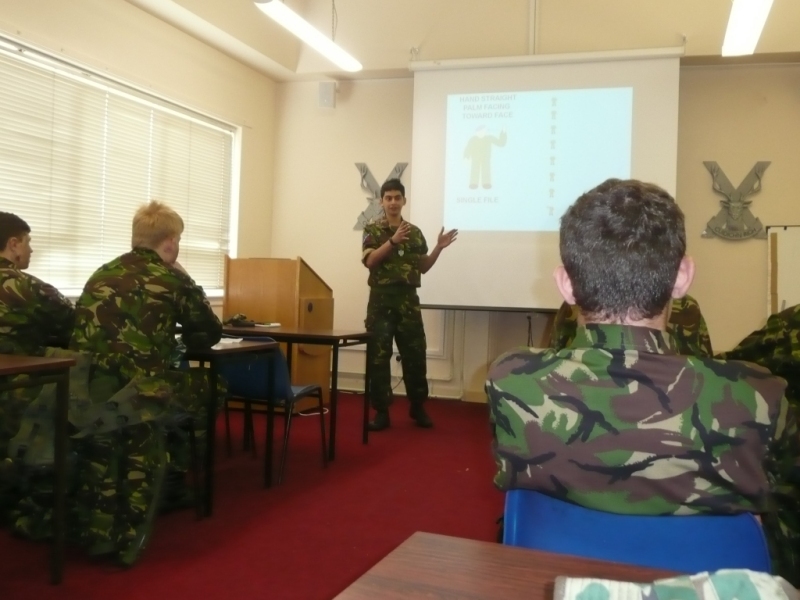 The cadets were briefed and put into groups representing different countries. 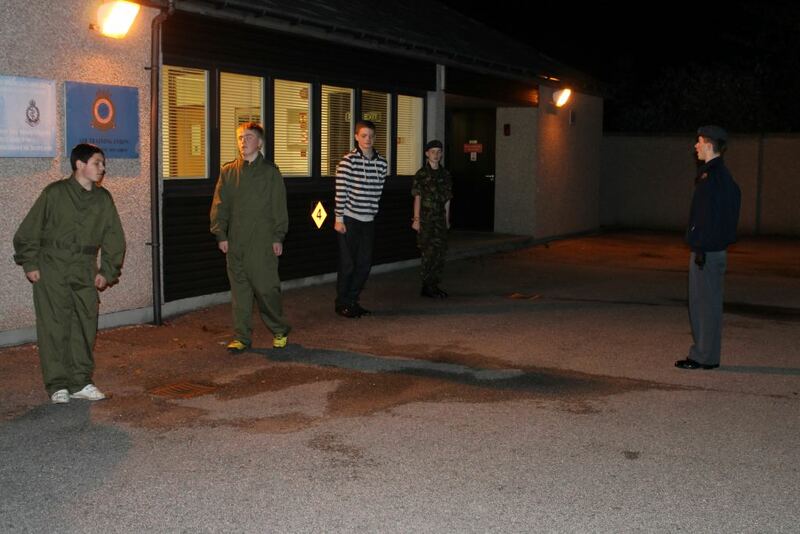 After the warm up the competitors went round the various stations e.g. push ups, squat thrusts, supine cycling etc., followed by crab football and shuttle runs. At the end of the evening Olympic Paper Plate Awards were made. 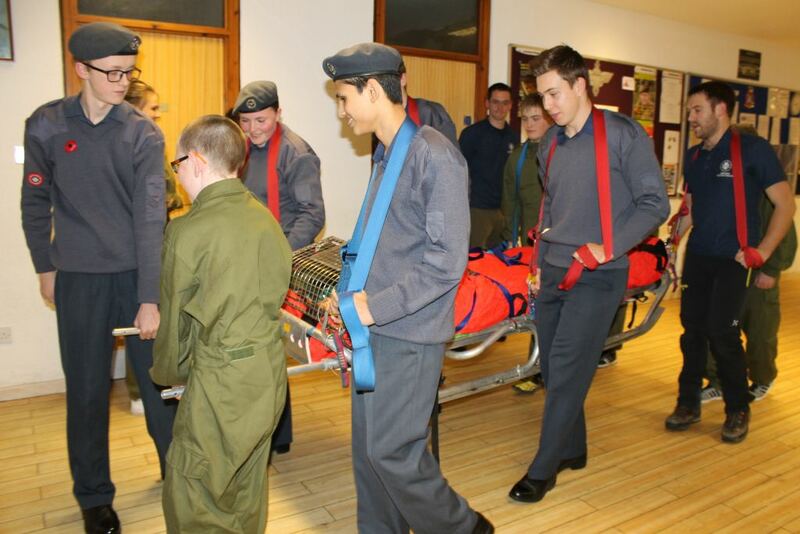 This was the second month that 102 (Aberdeen Airport) Squadron has come along for a joint sports evening. Cadets Baxter J, Baxter M, Gordon, Gregory and Nicholson spent a day working with the Aberdeen Ranger Service team of Simon and Ruth at Kincorth Hill Local Nature Reserve. 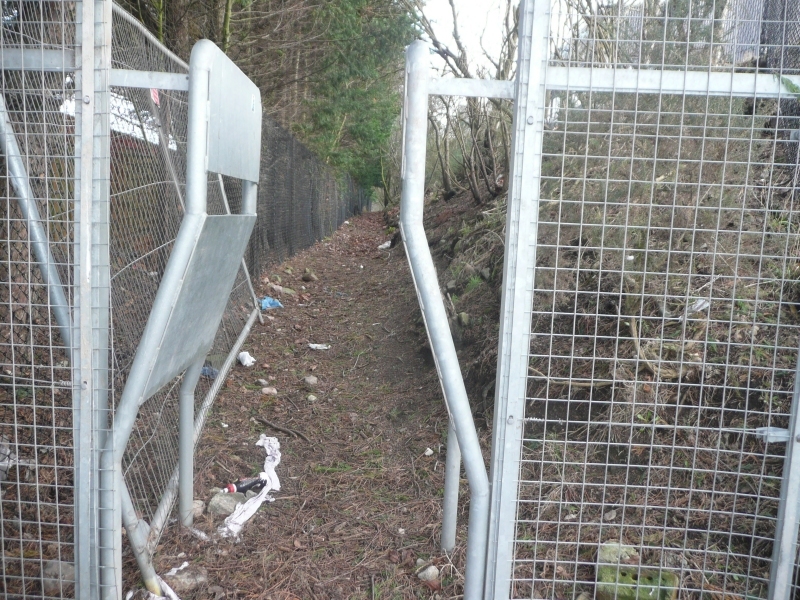 Our task was to cut down an area of Broom vegetation which was encroaching on vehicle access routes. 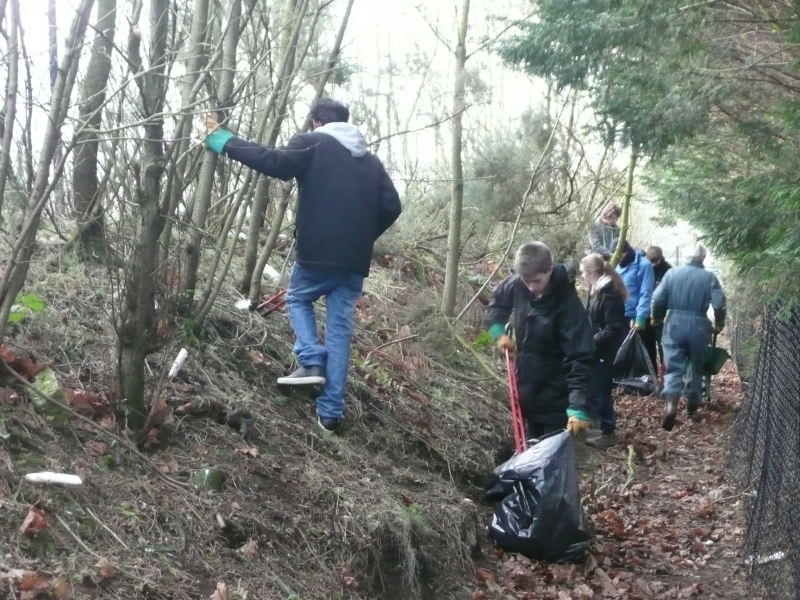 Using saws and loppers we made good progress clearing a couple of areas. Normally a bonfire is started with the cuttings but the Broom refused to stay alight for cooking baked potatoes for lunch. 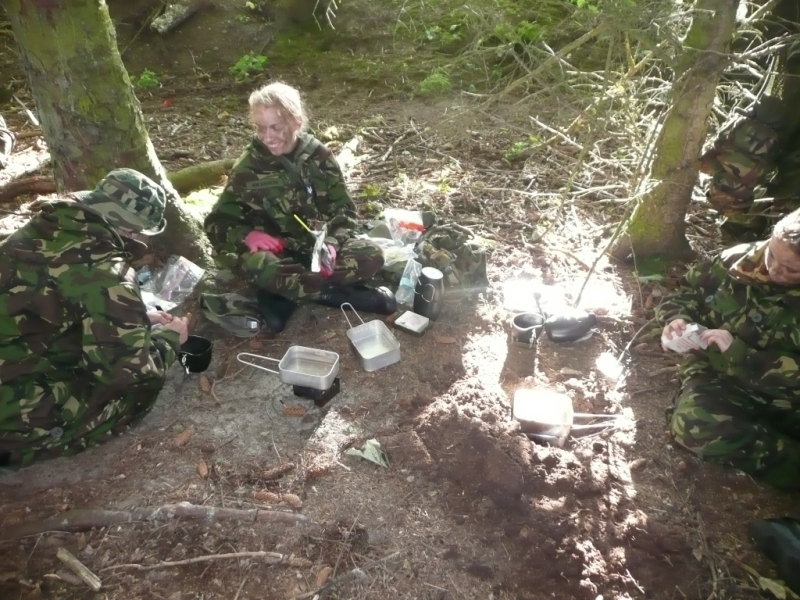 In the end a small fire was enough for the cadets to roast marshmallows. It was expected to be cold but a couple of light snow showers were a surprise. In spite of the weather the cadets kept their spirits up, especially when the female cadets started singing Christmas Carols as it snowed. 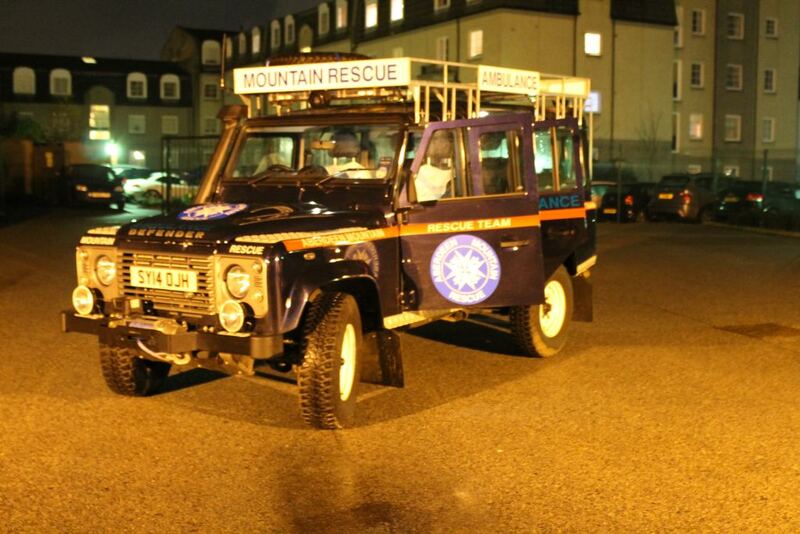 This is the first of several community event days with the Aberdeen Ranger Service between now and March.